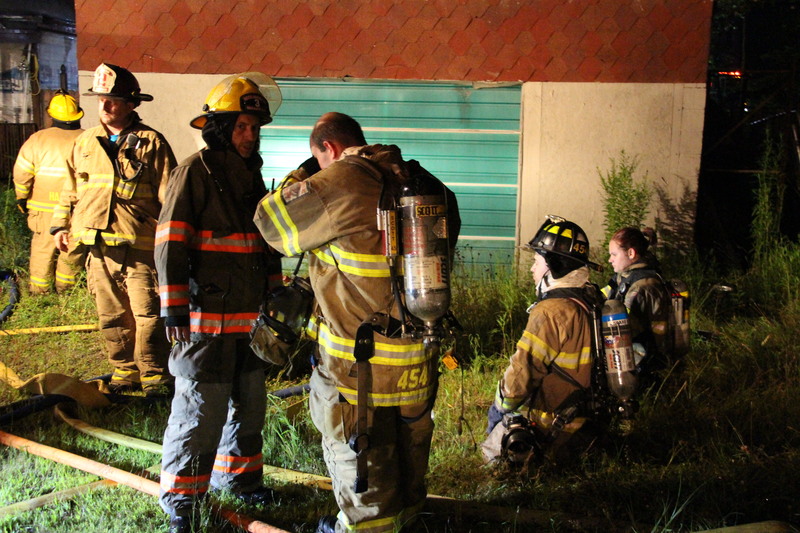 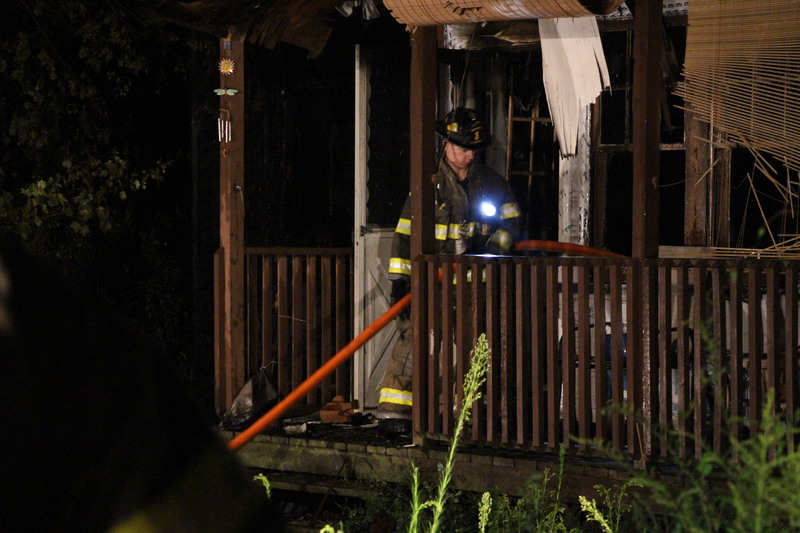 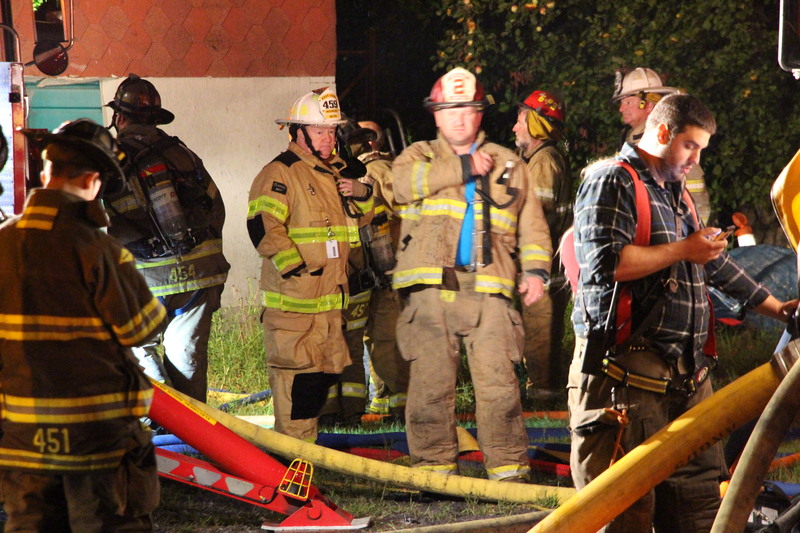 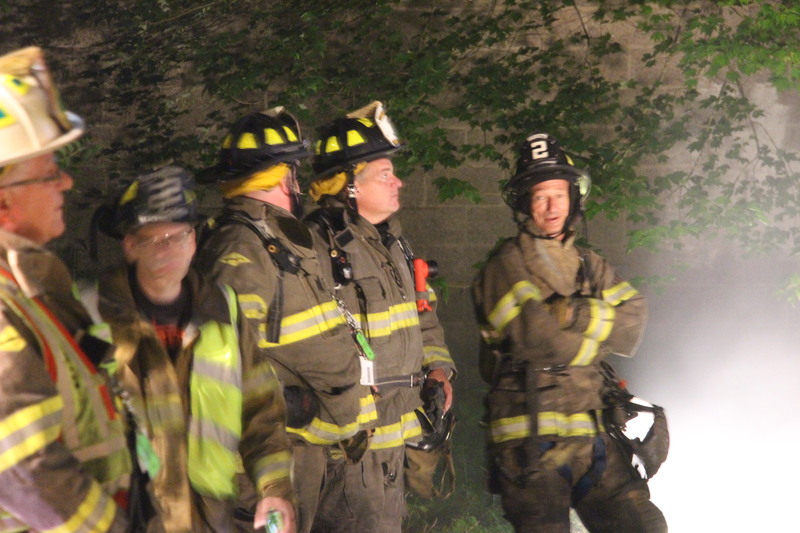 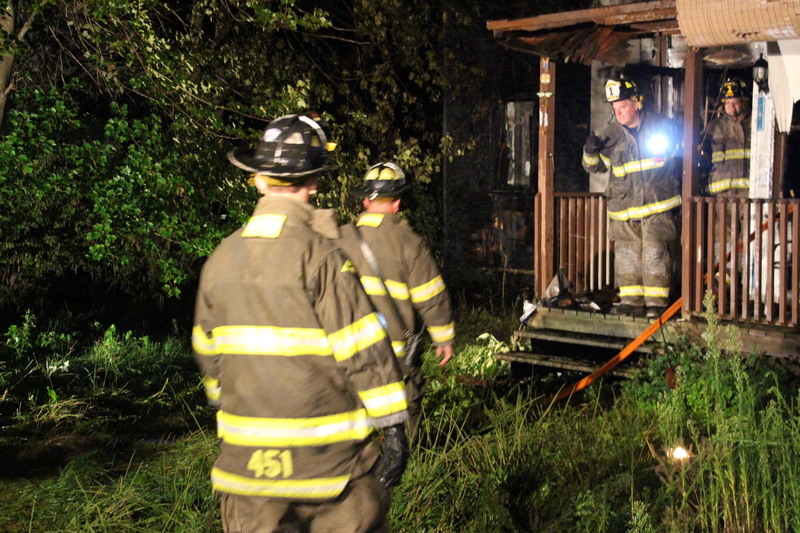 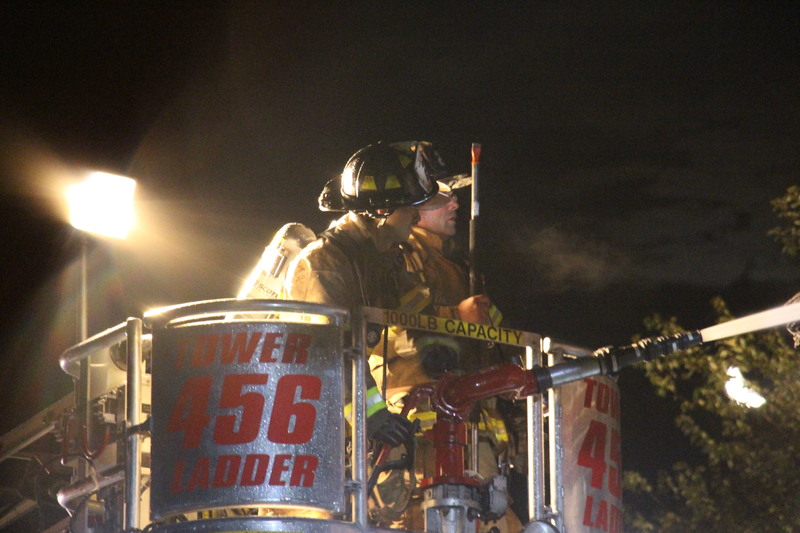 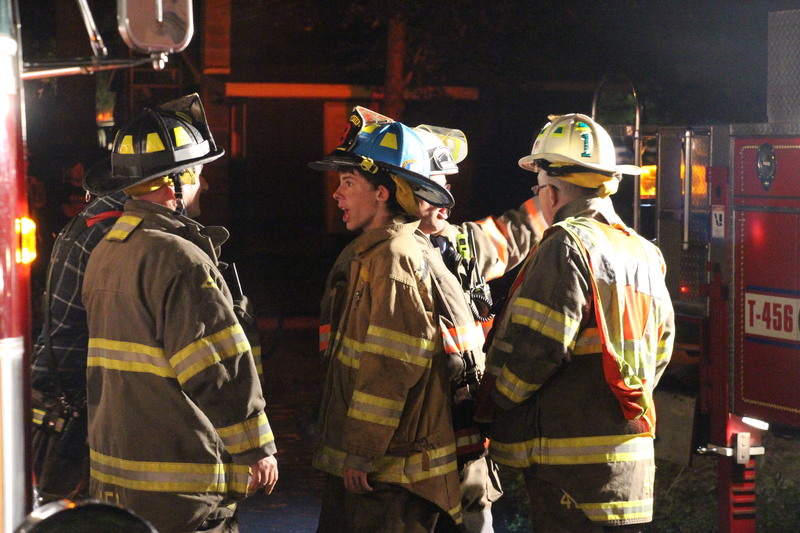 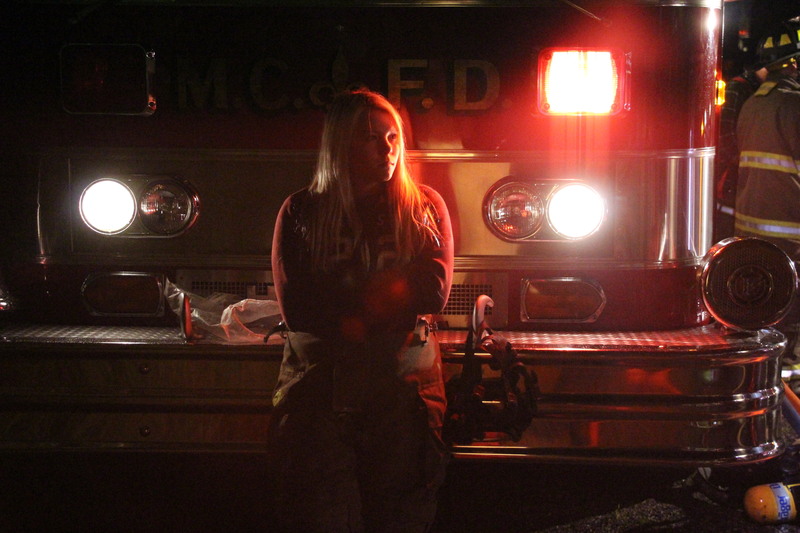 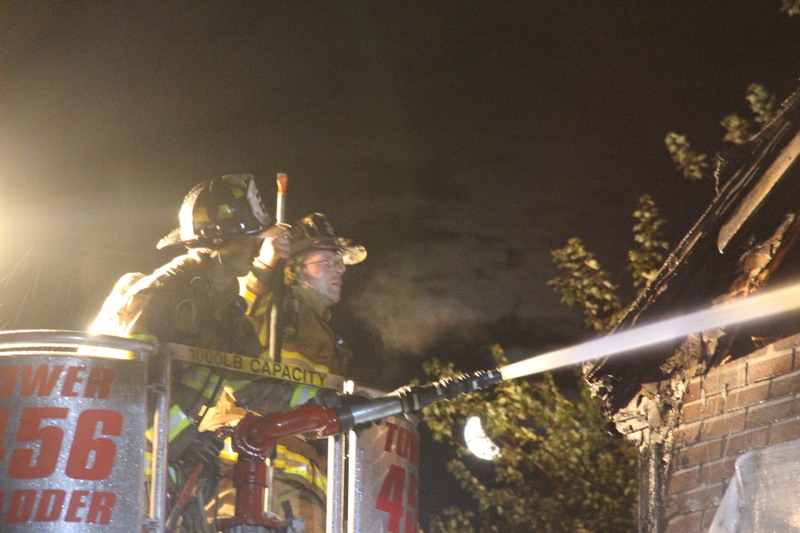 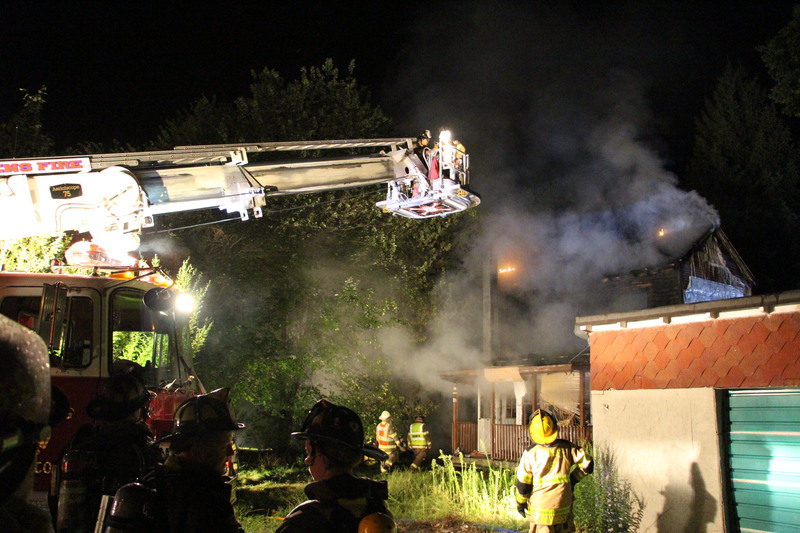 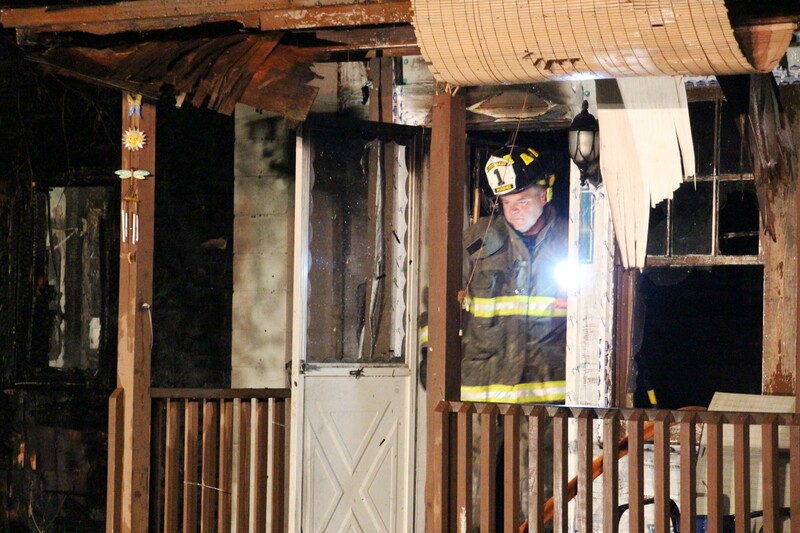 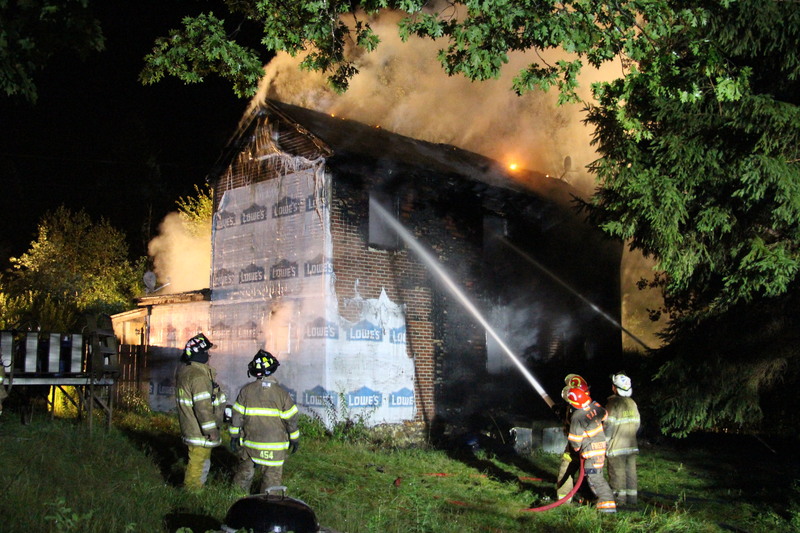 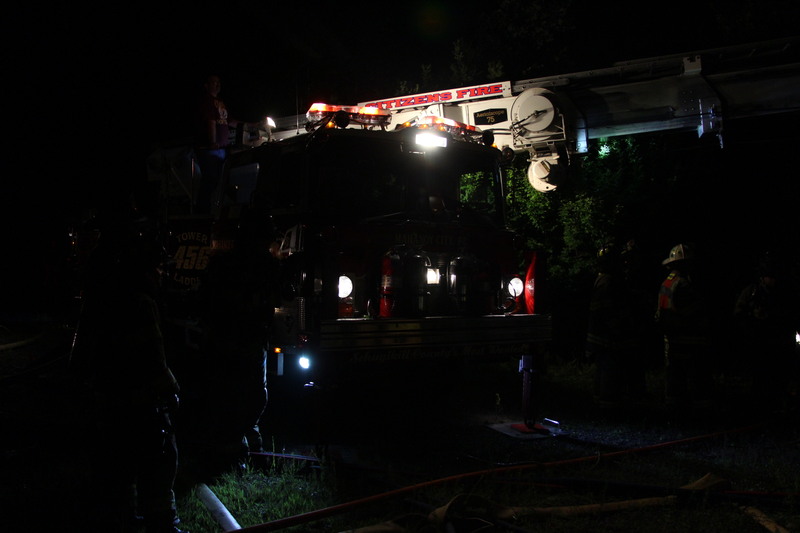 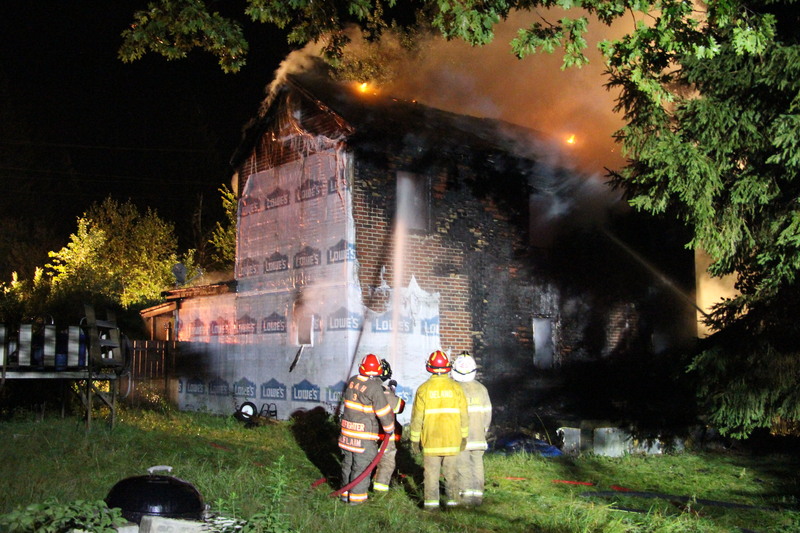 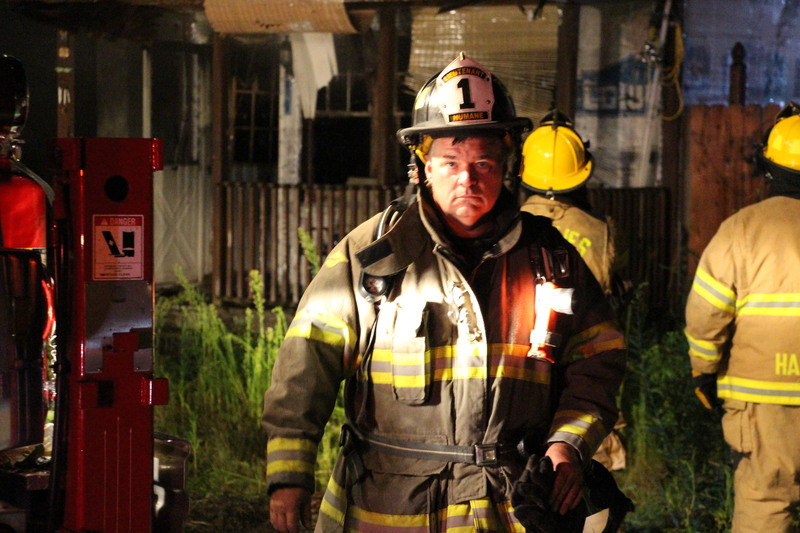 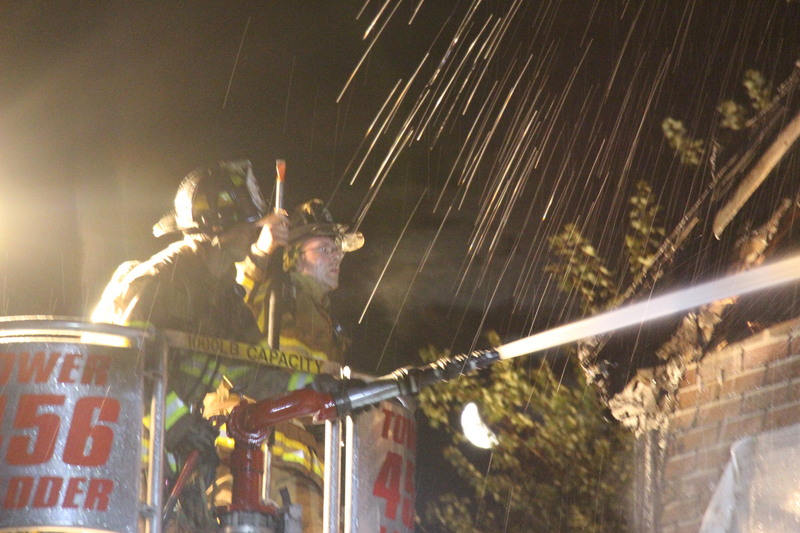 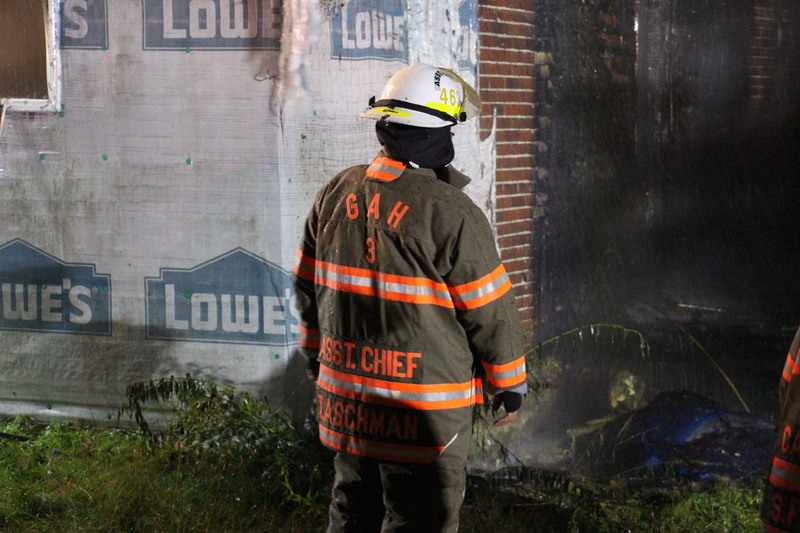 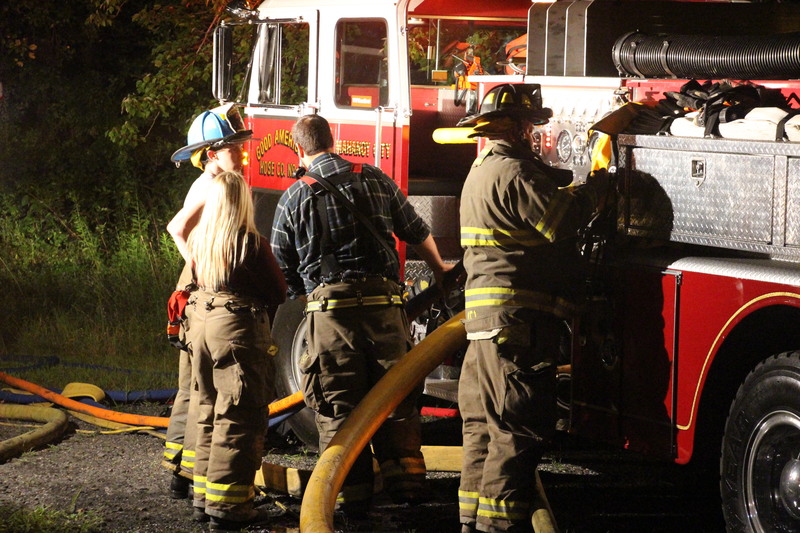 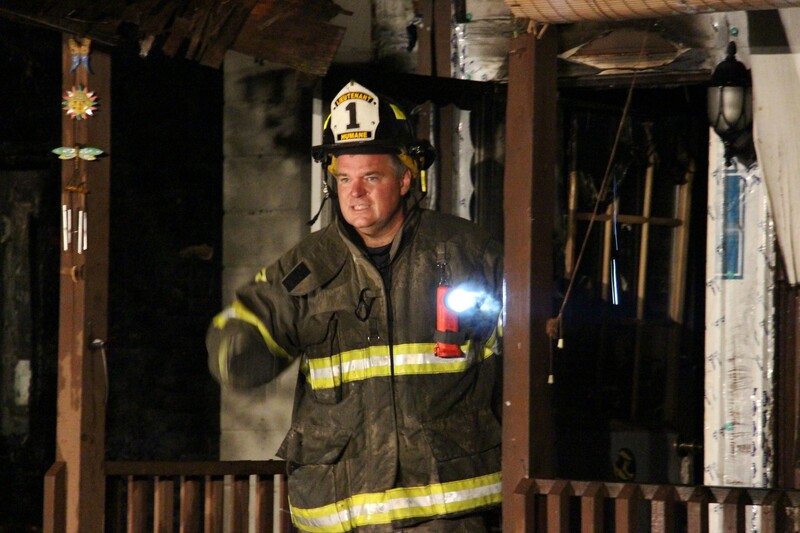 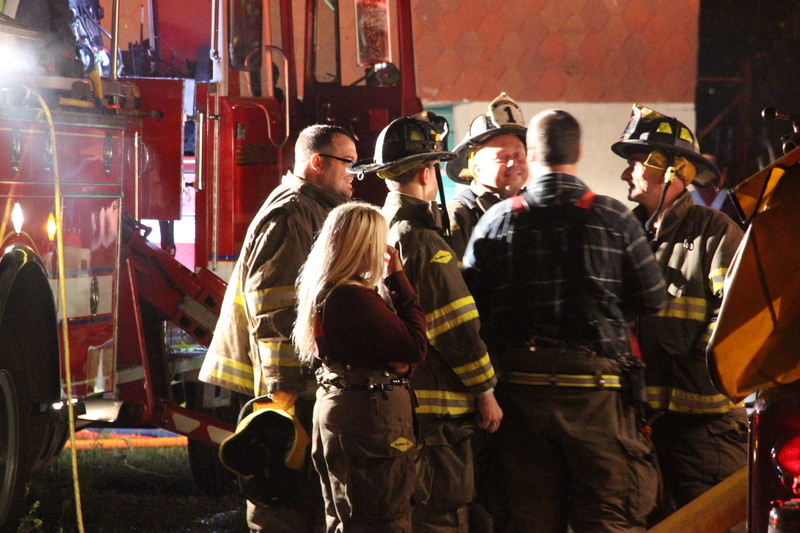 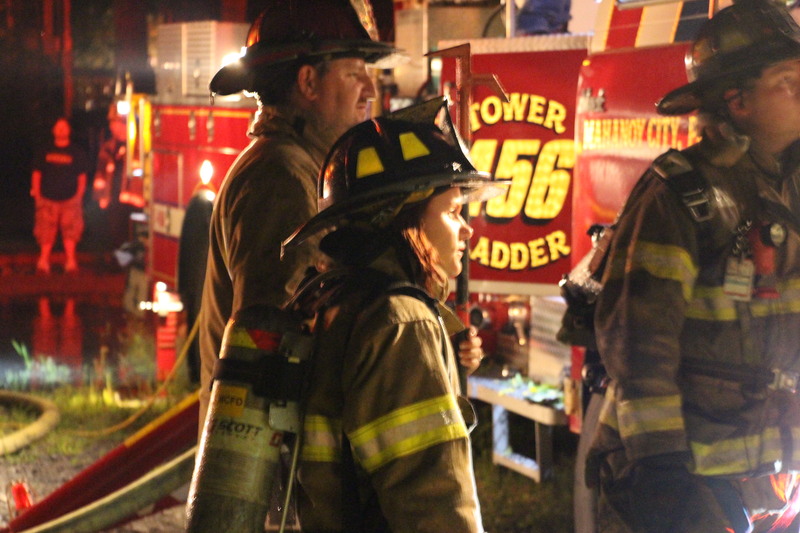 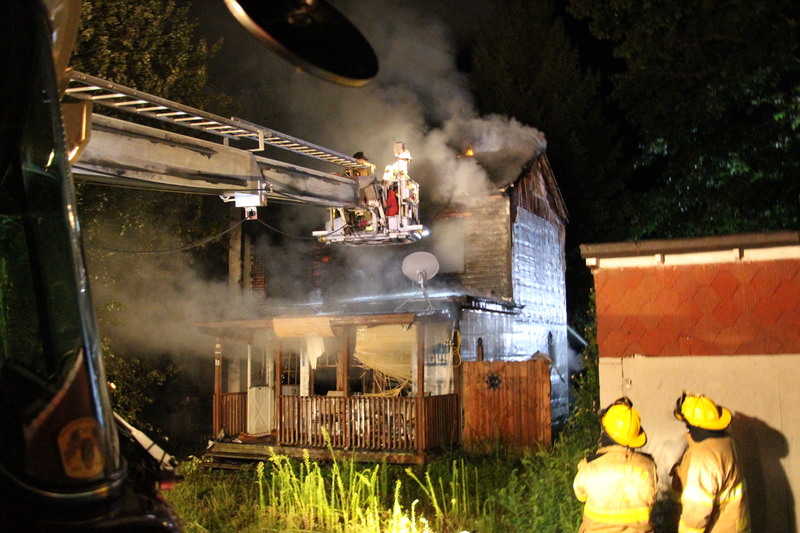 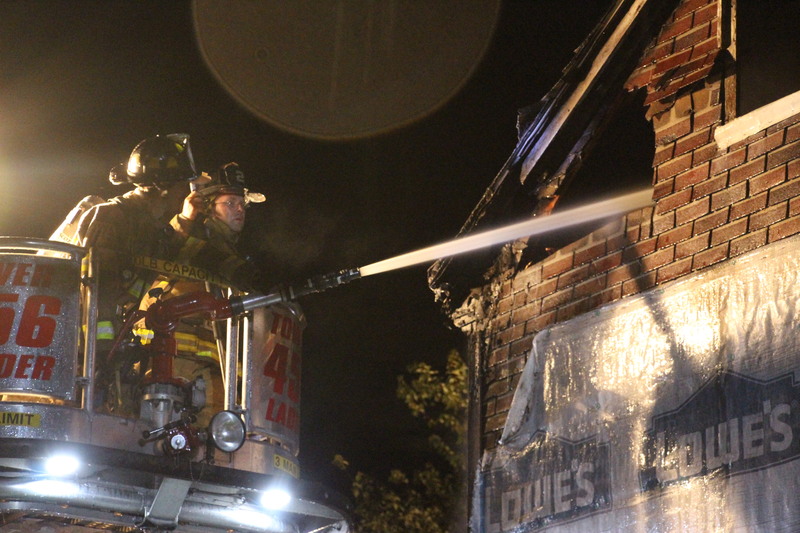 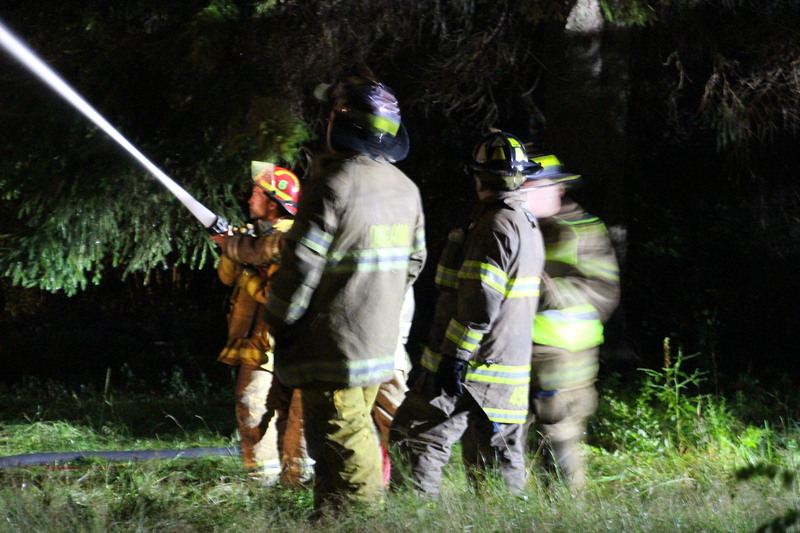 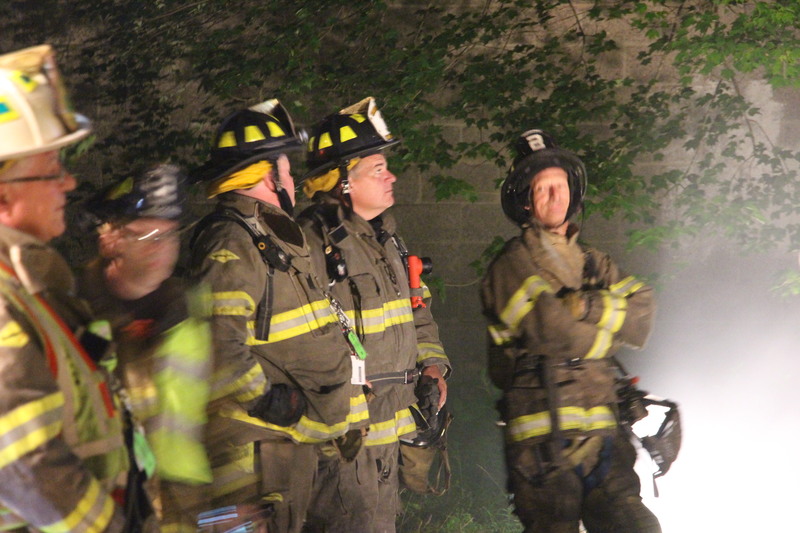 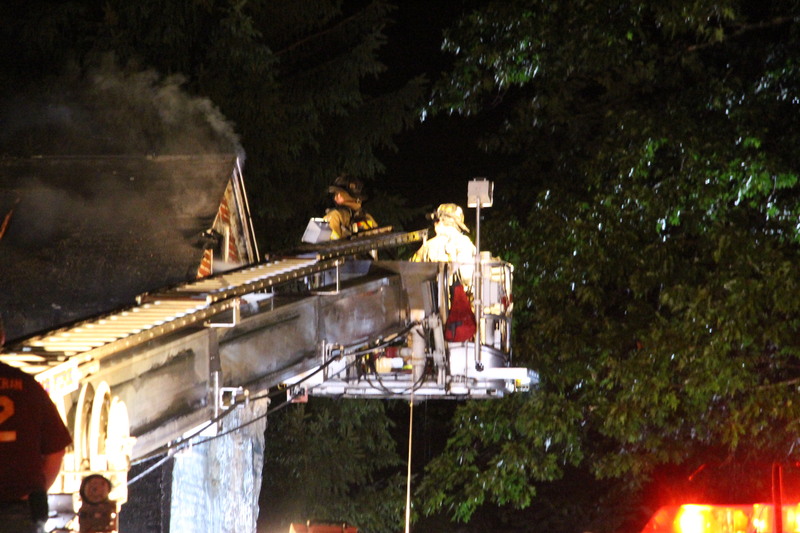 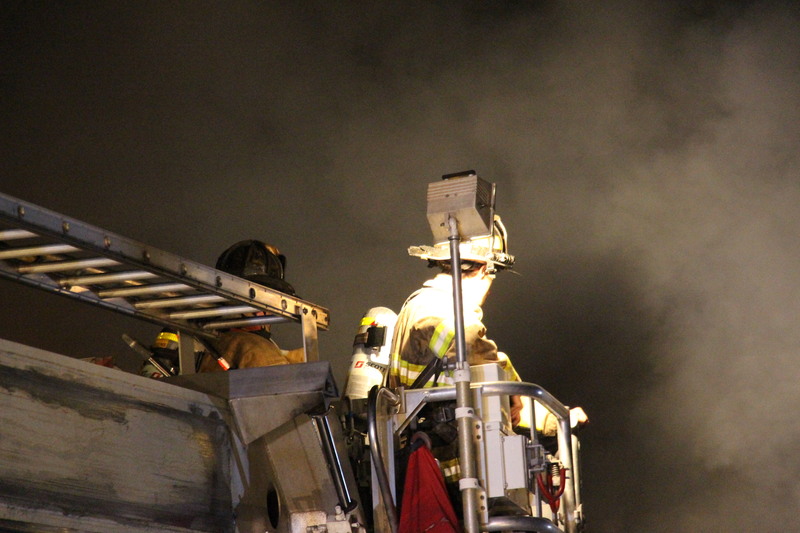 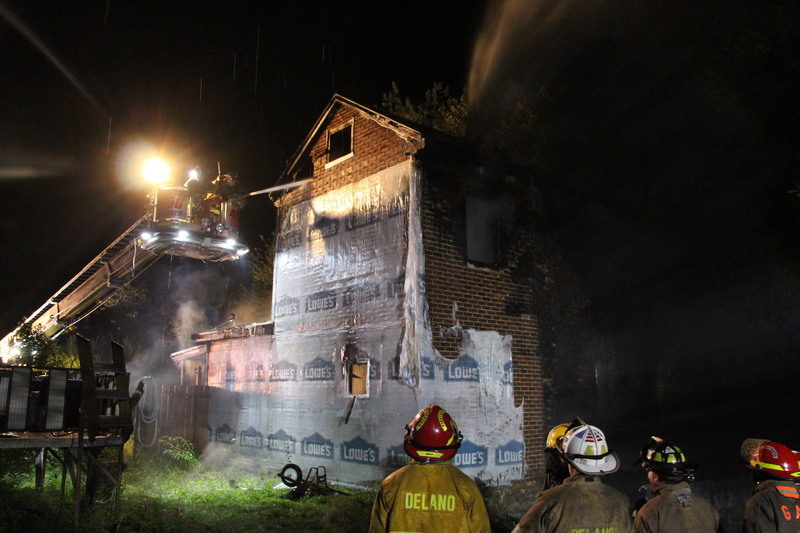 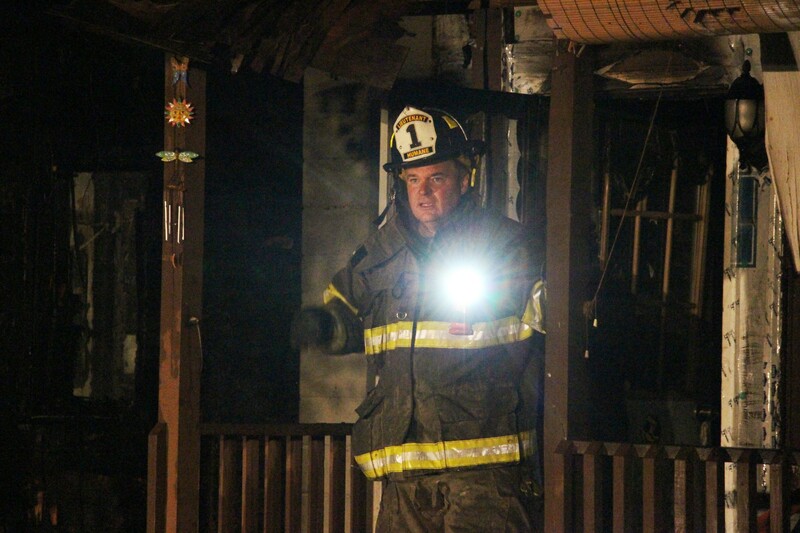 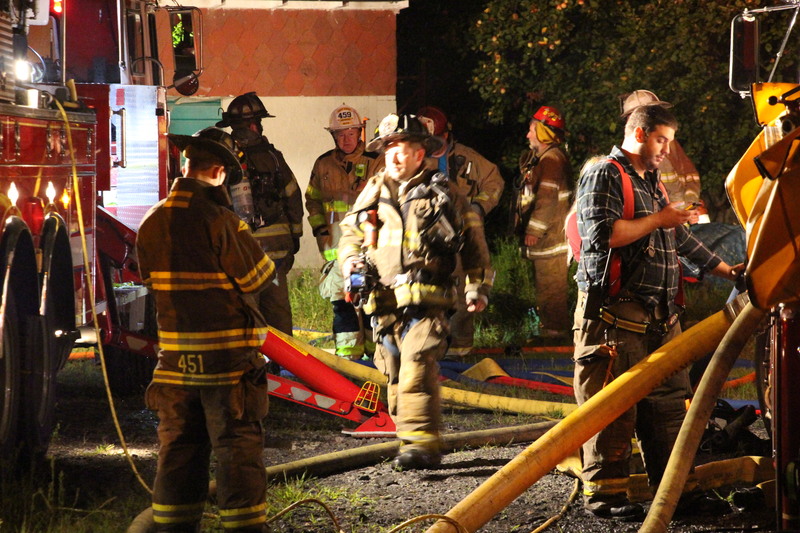 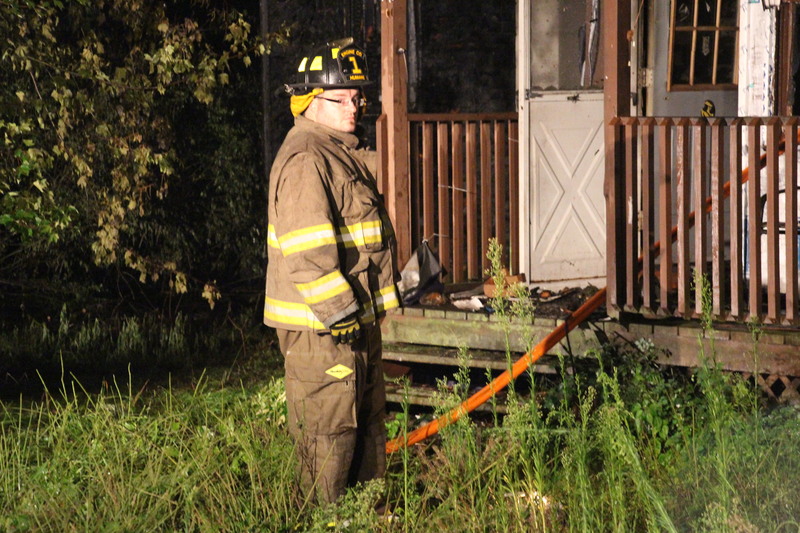 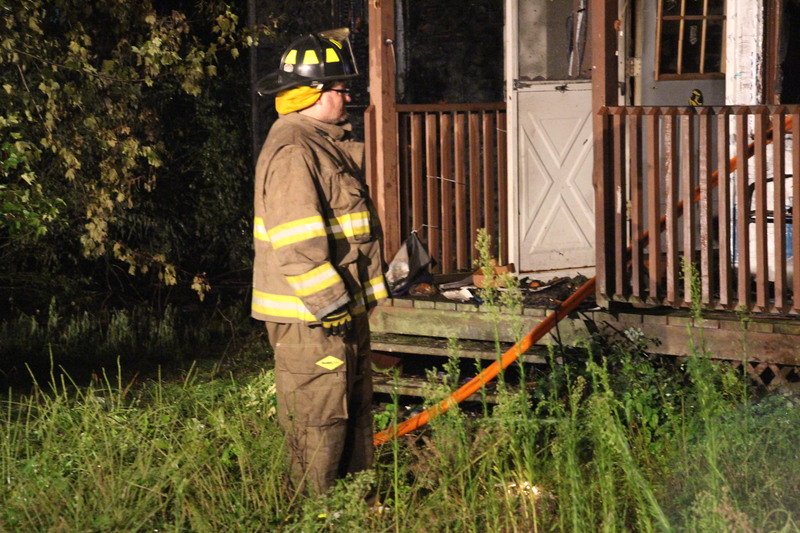 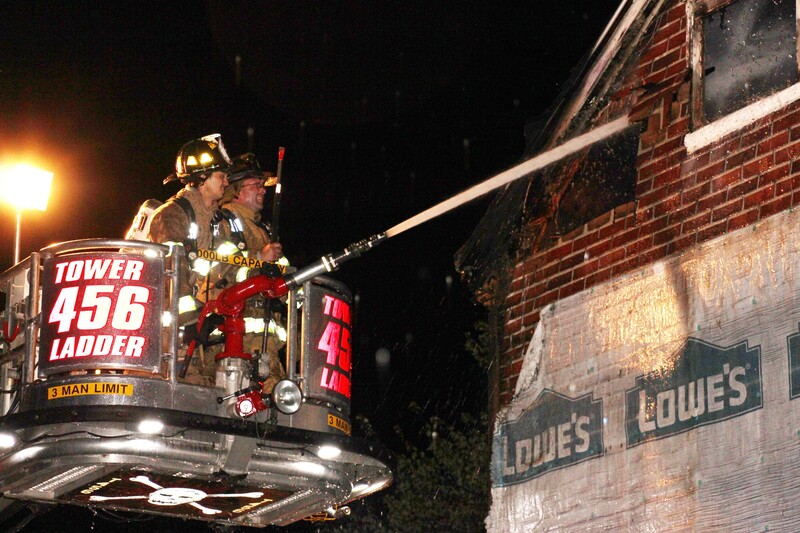 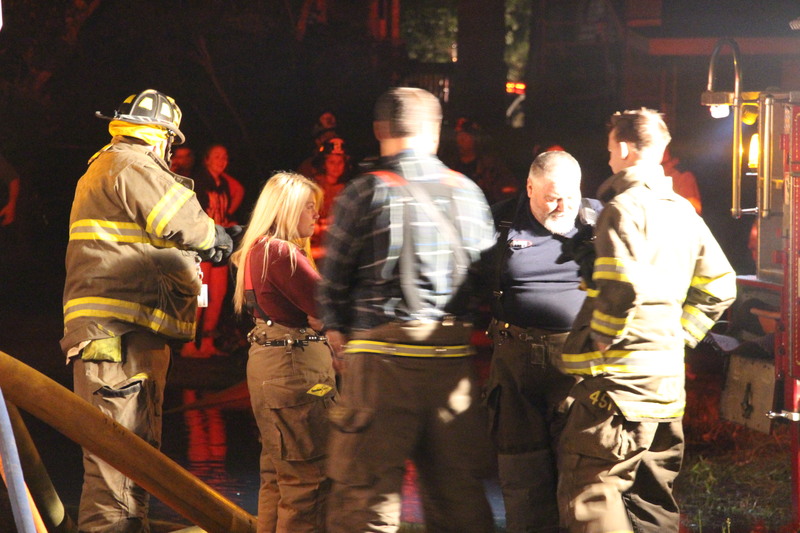 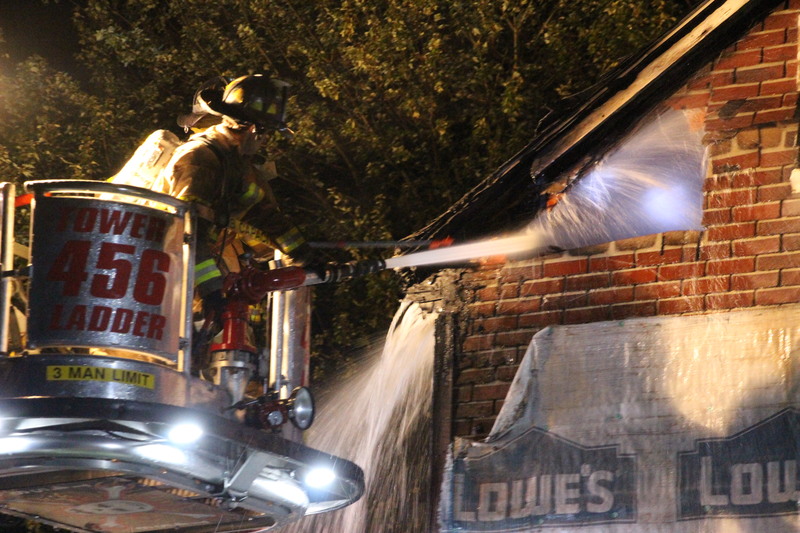 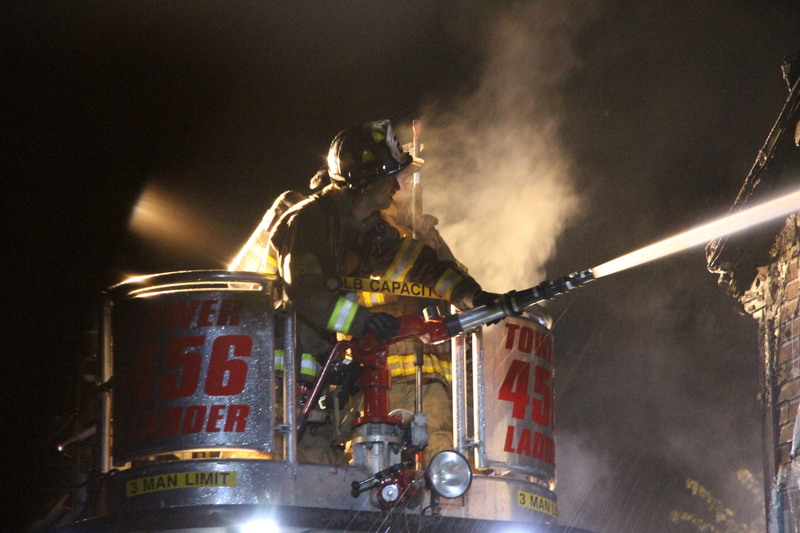 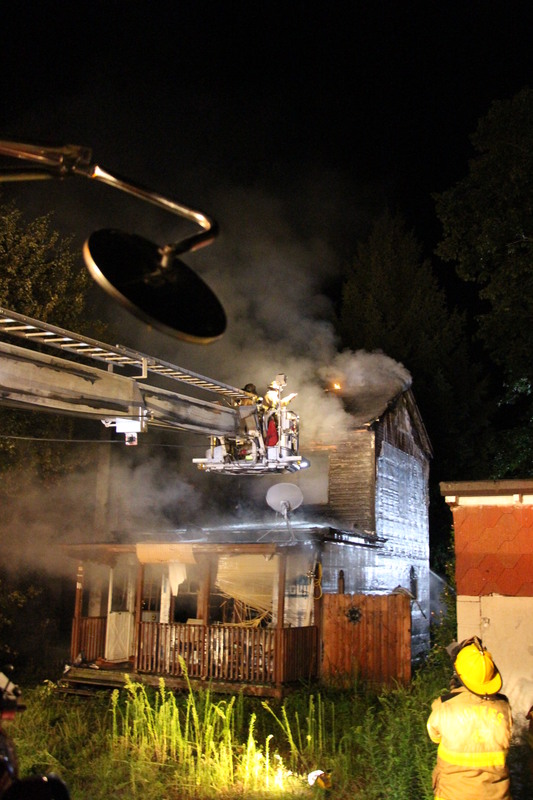 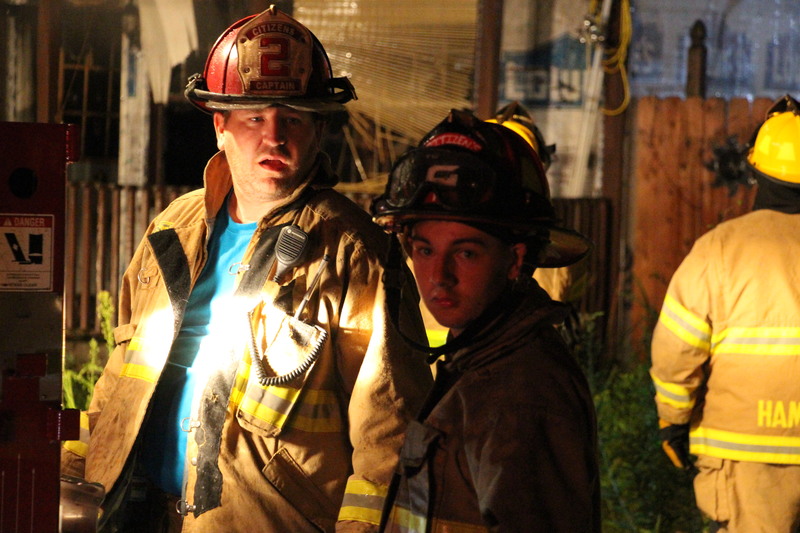 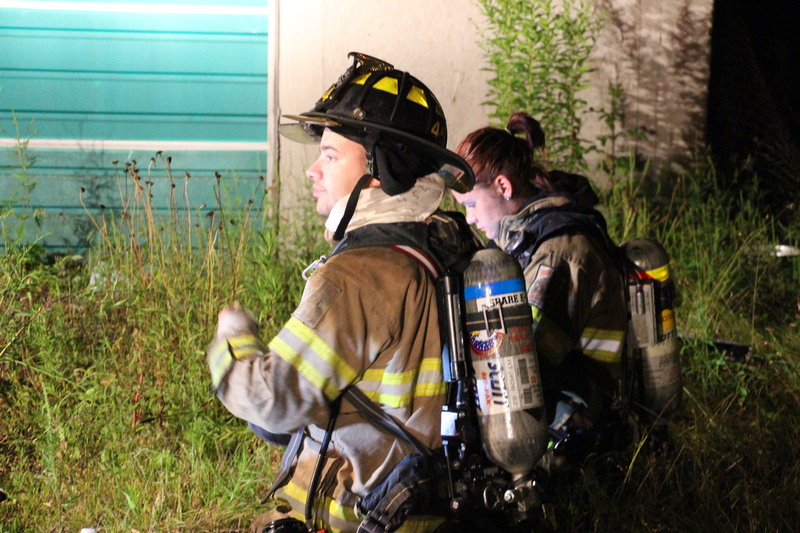 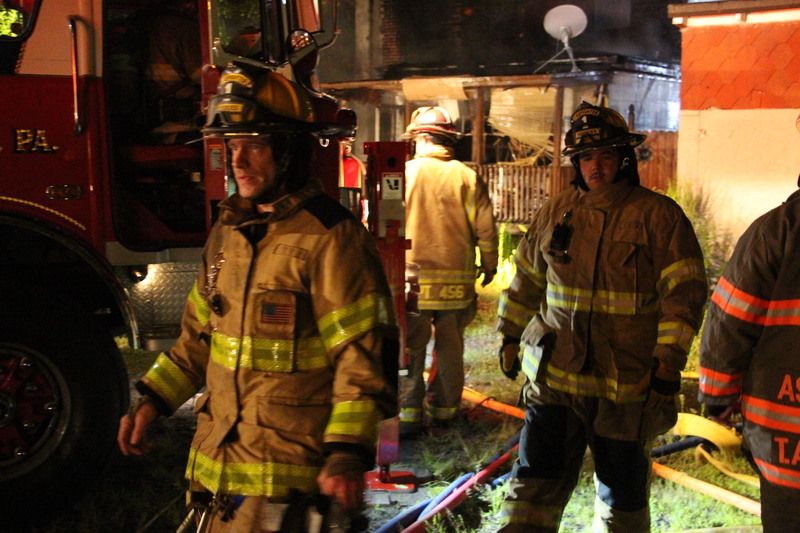 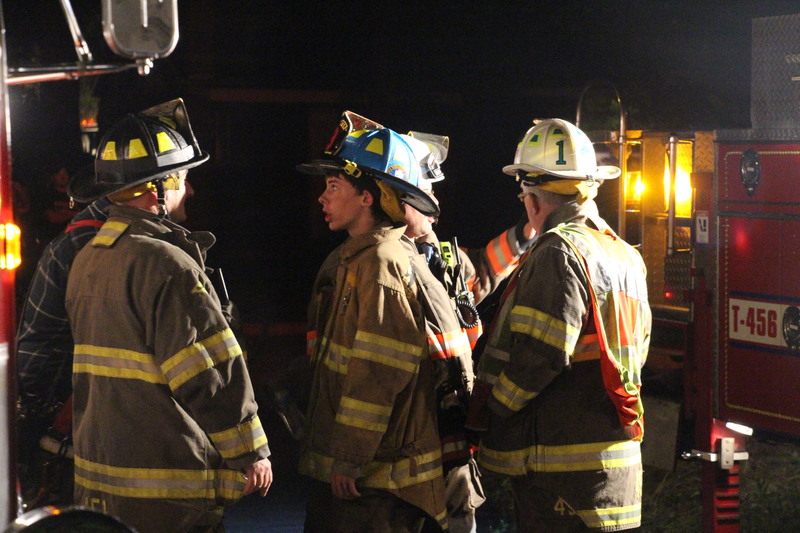 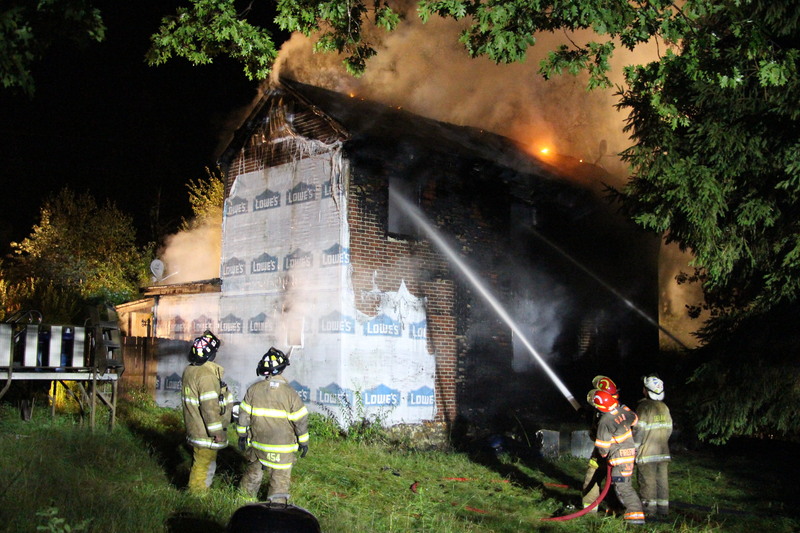 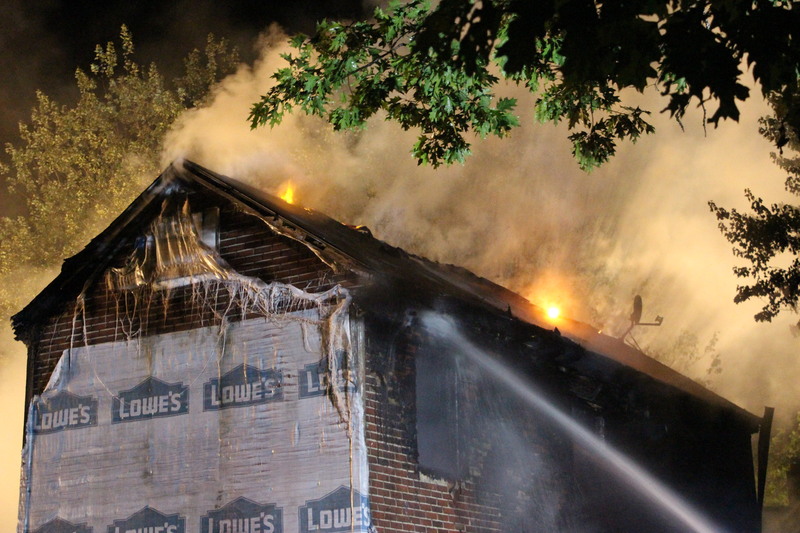 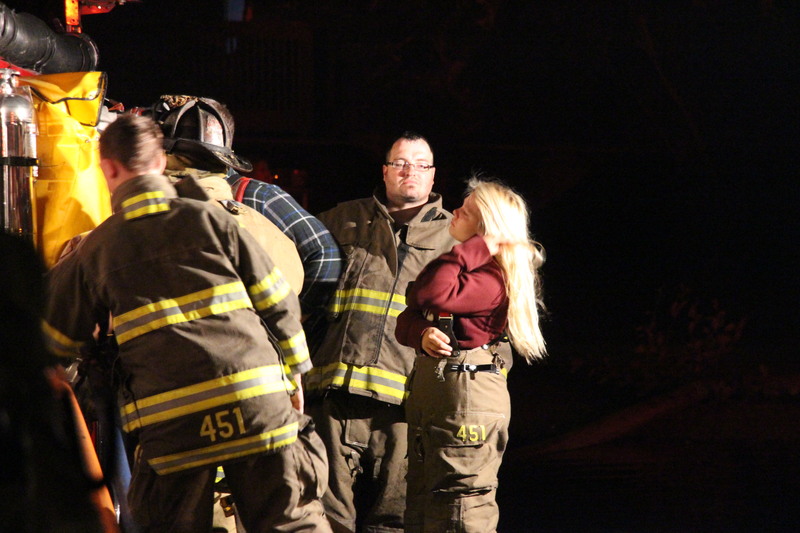 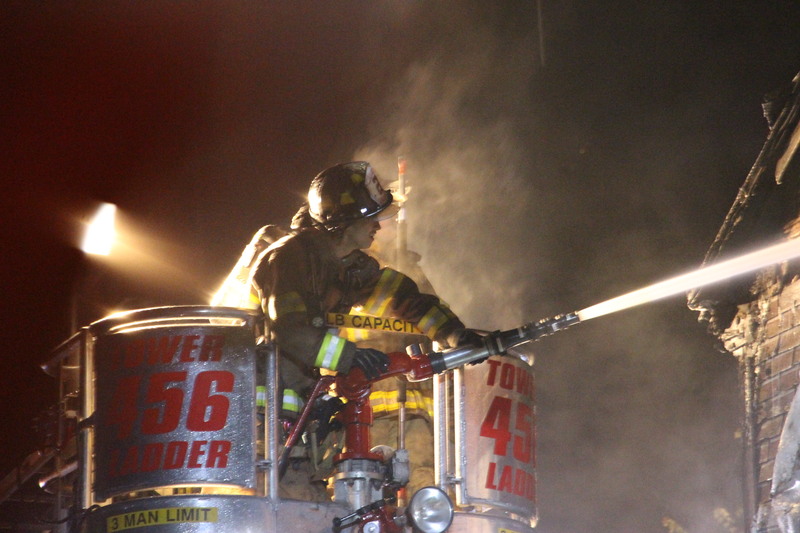 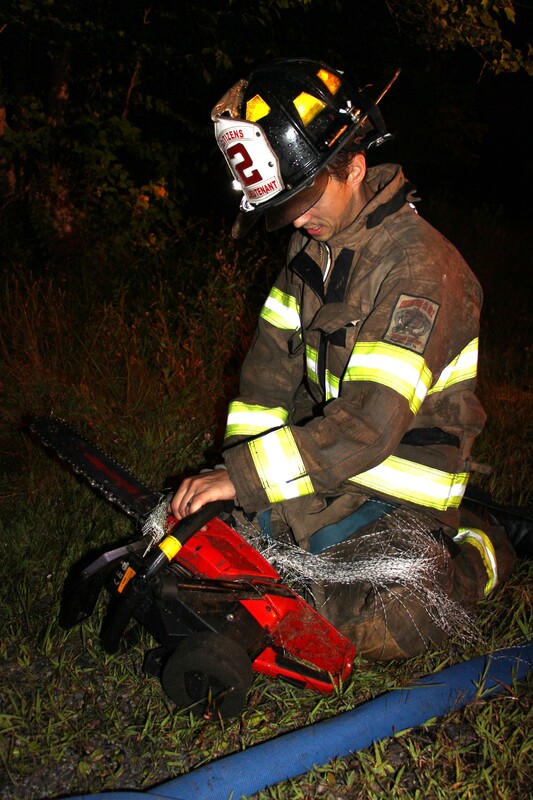 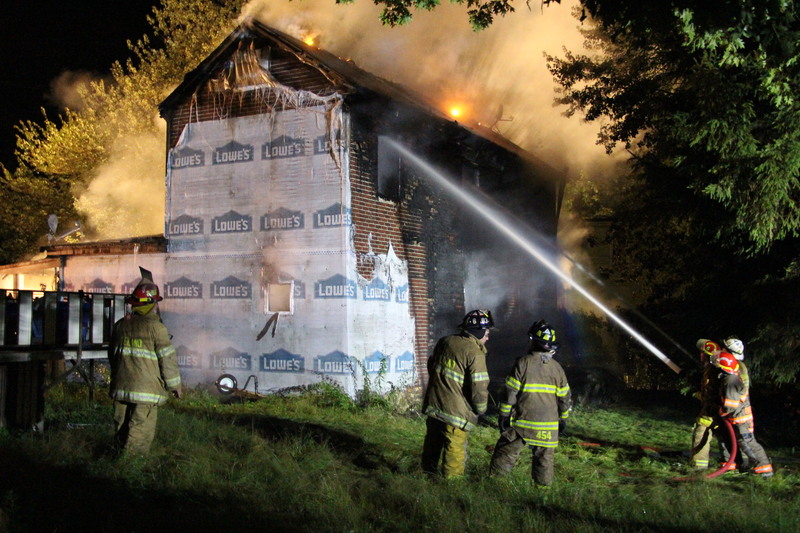 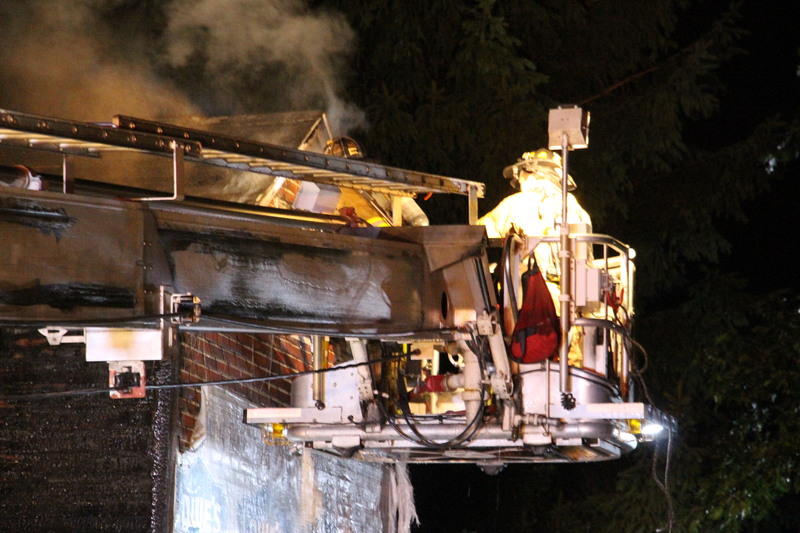 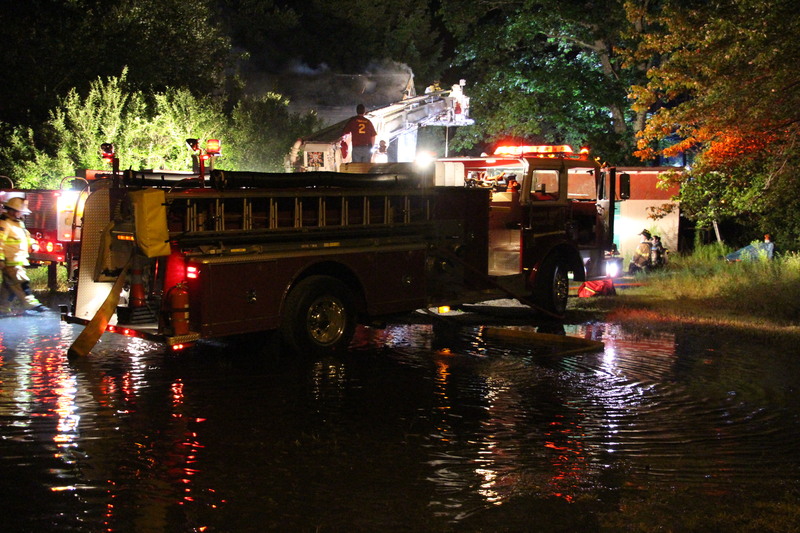 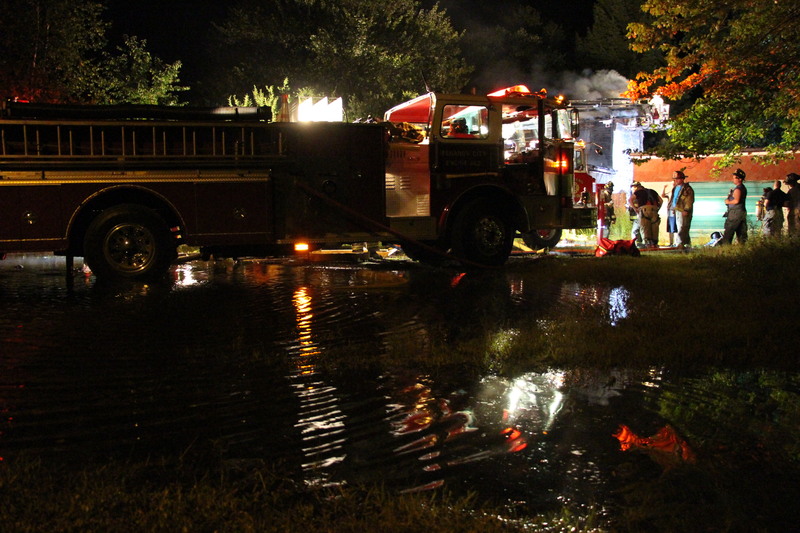 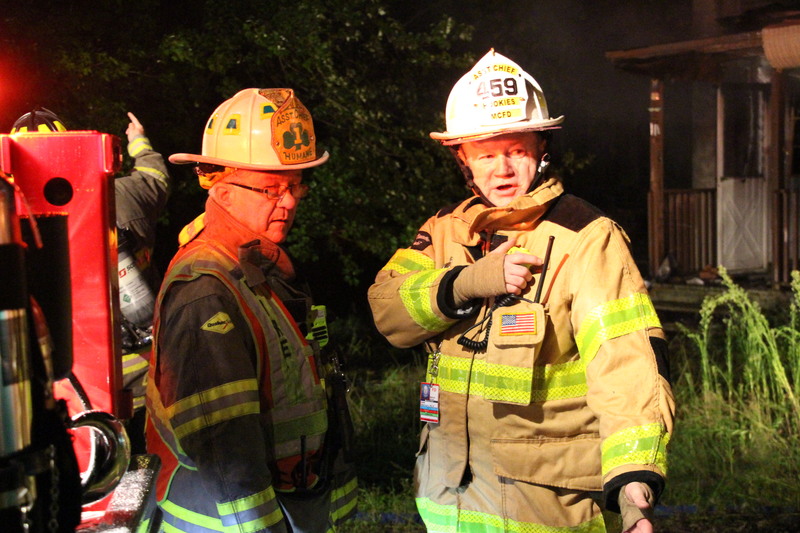 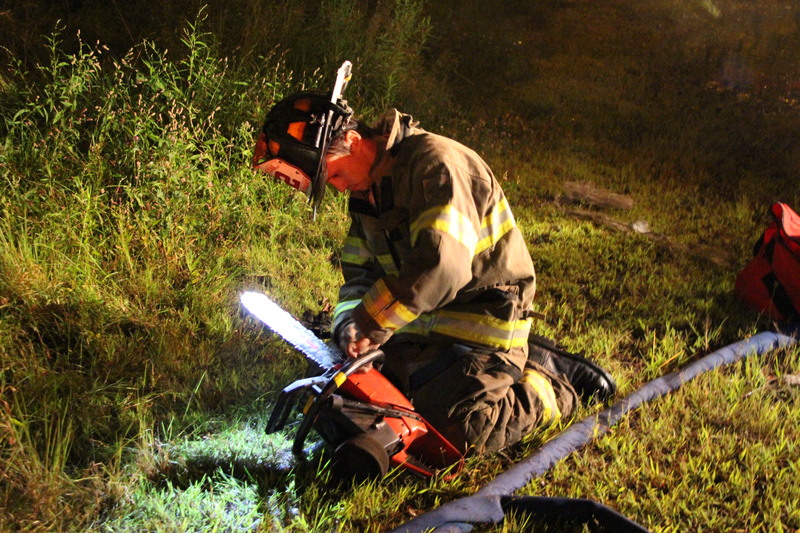 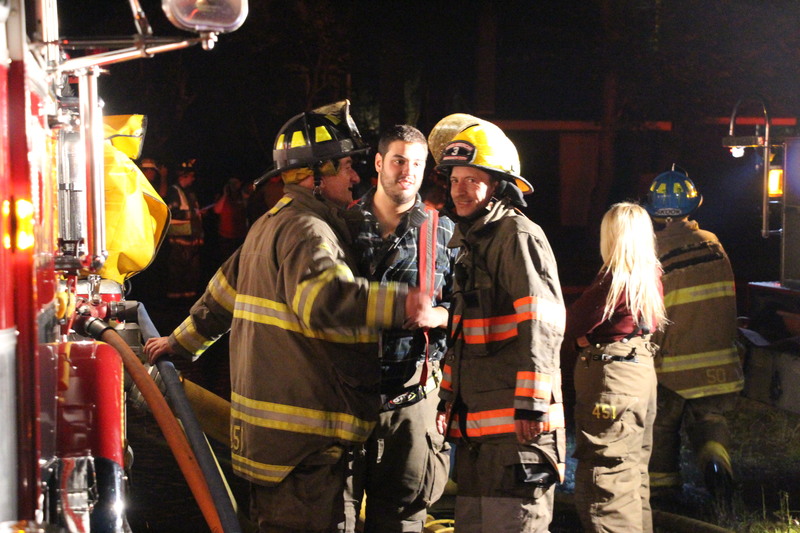 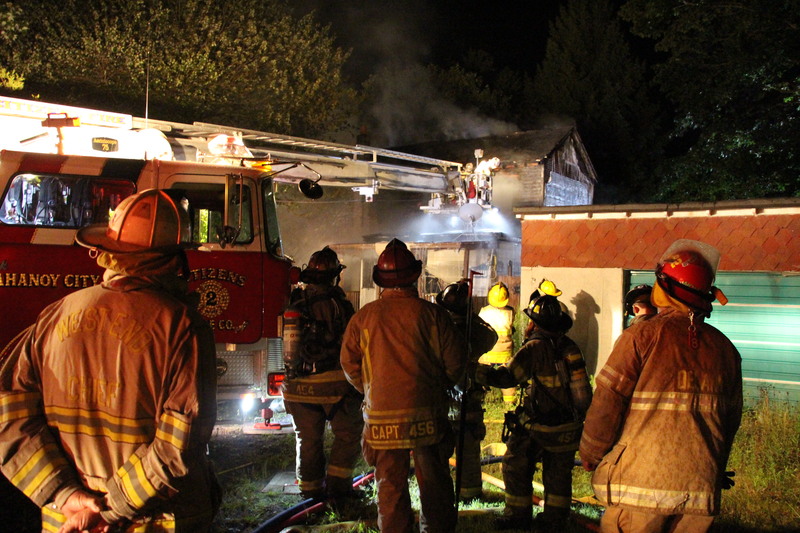 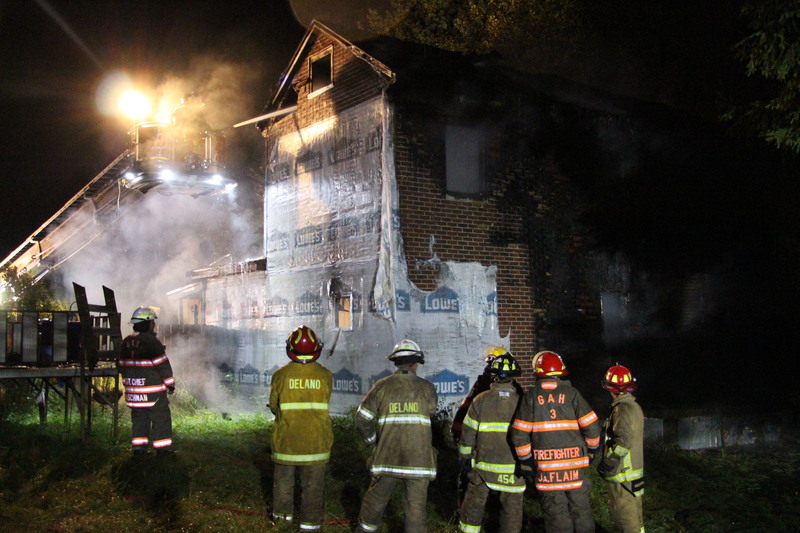 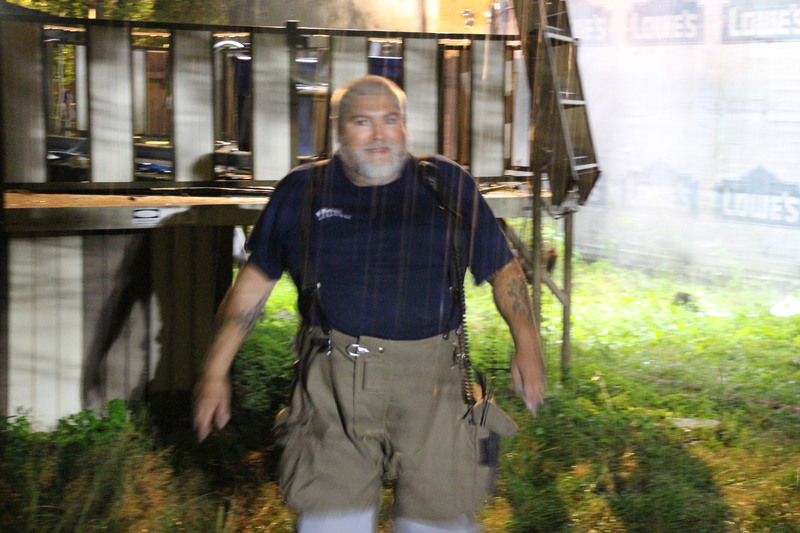 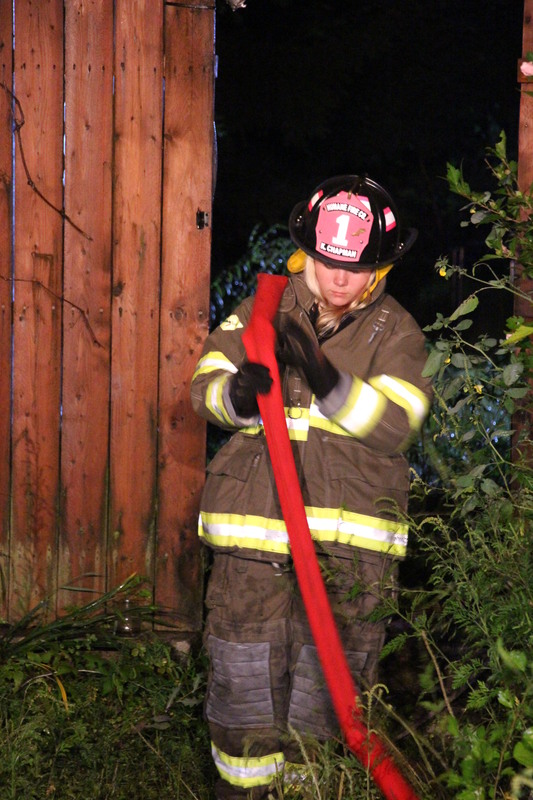 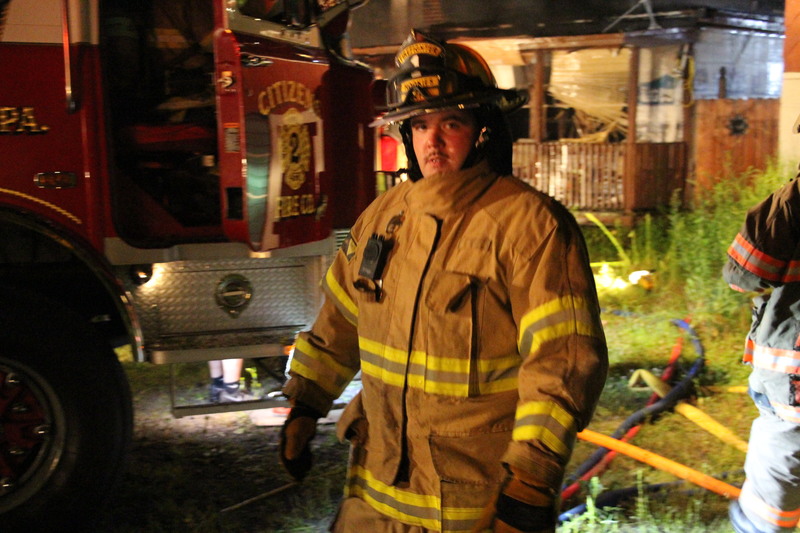 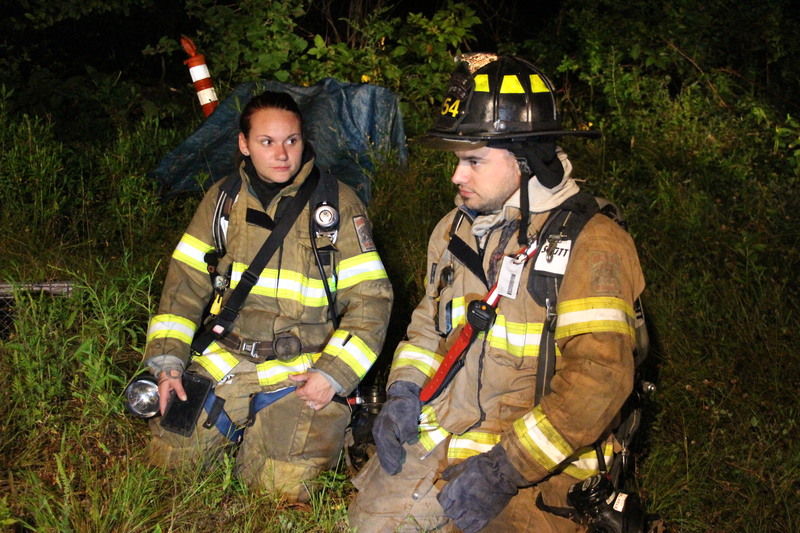 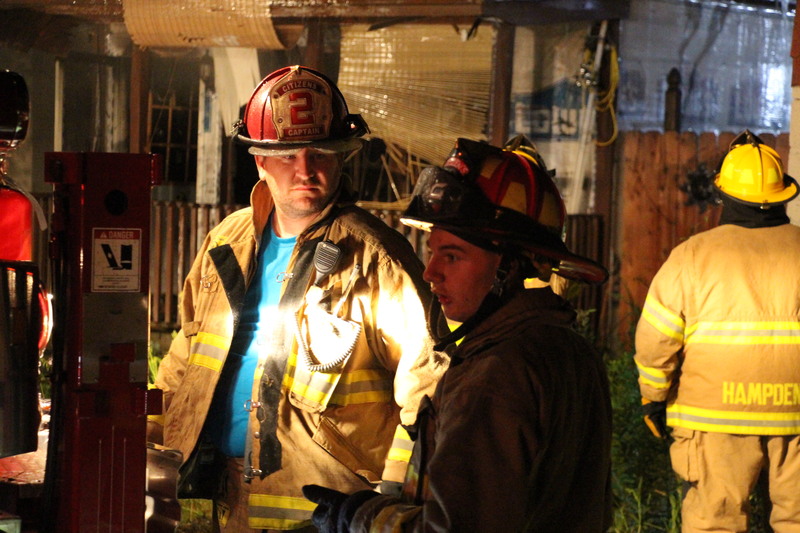 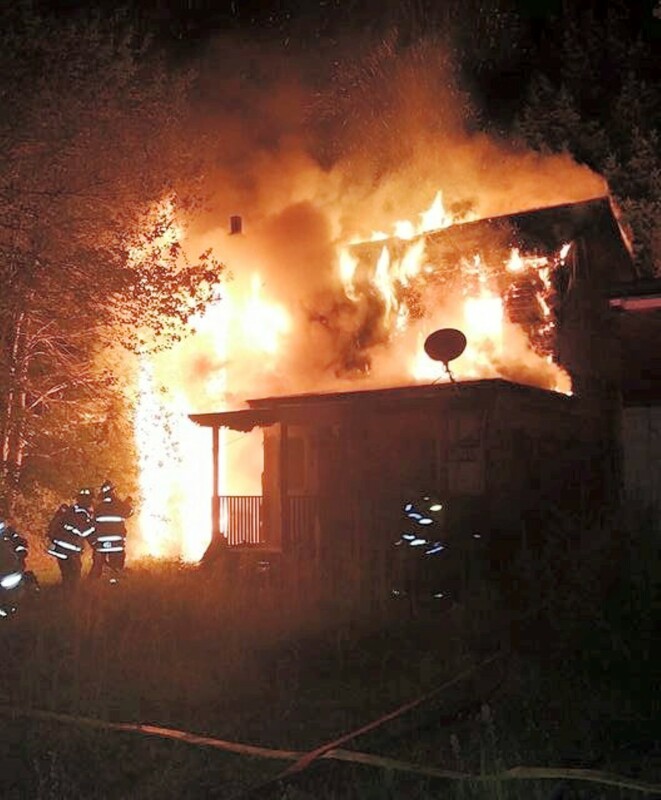 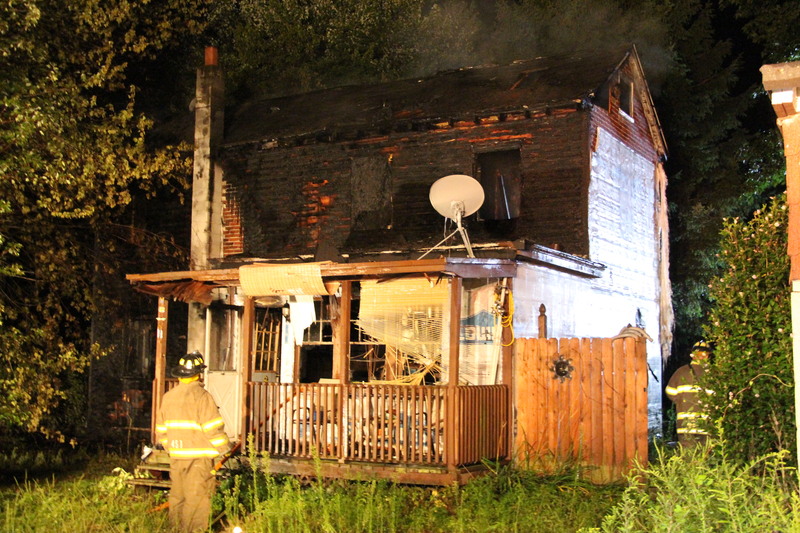 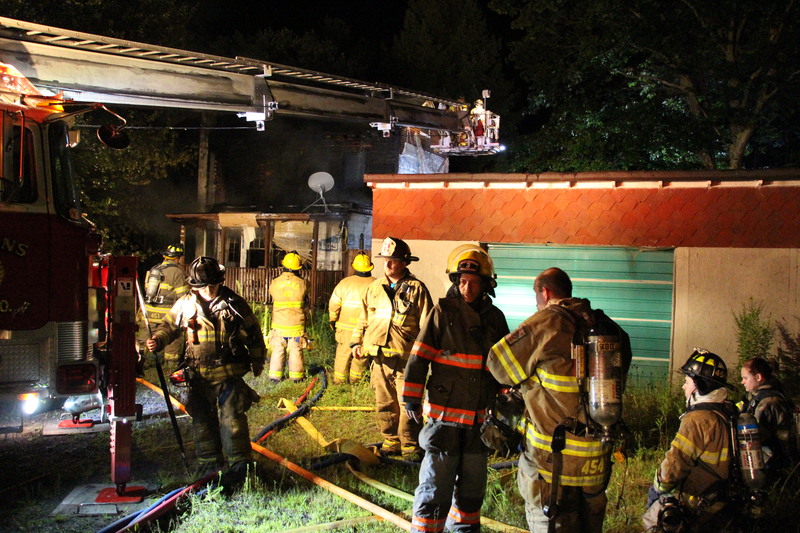 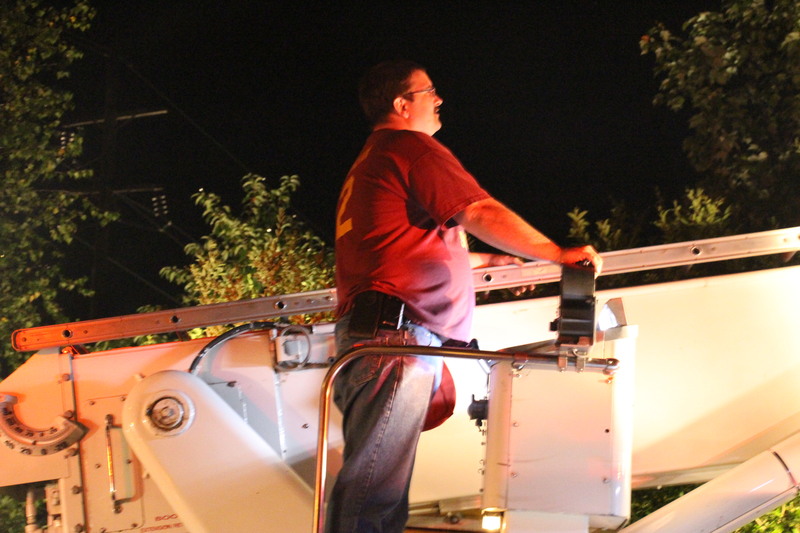 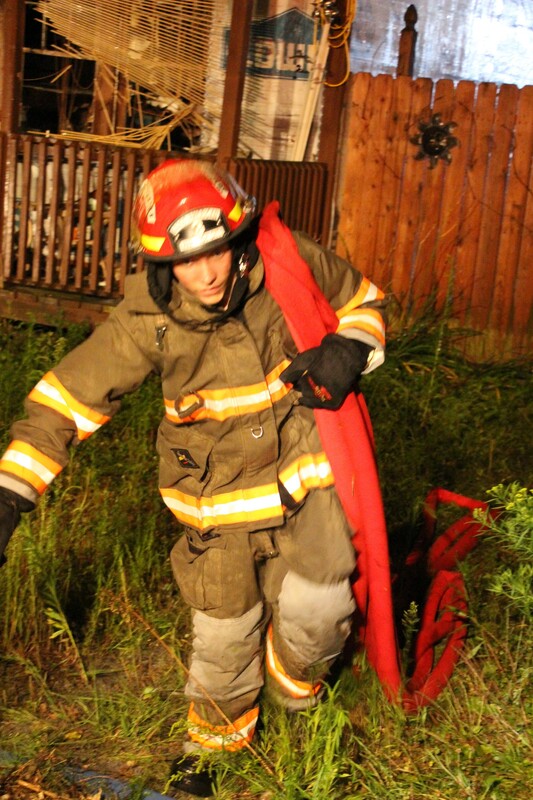 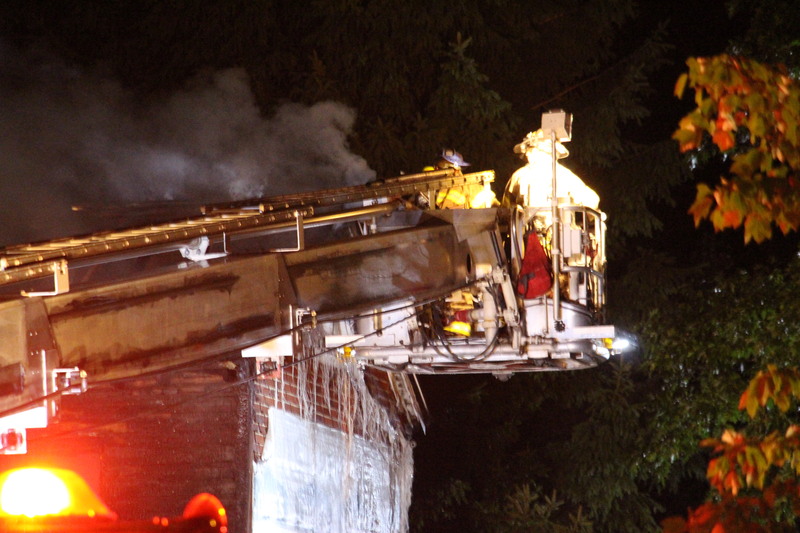 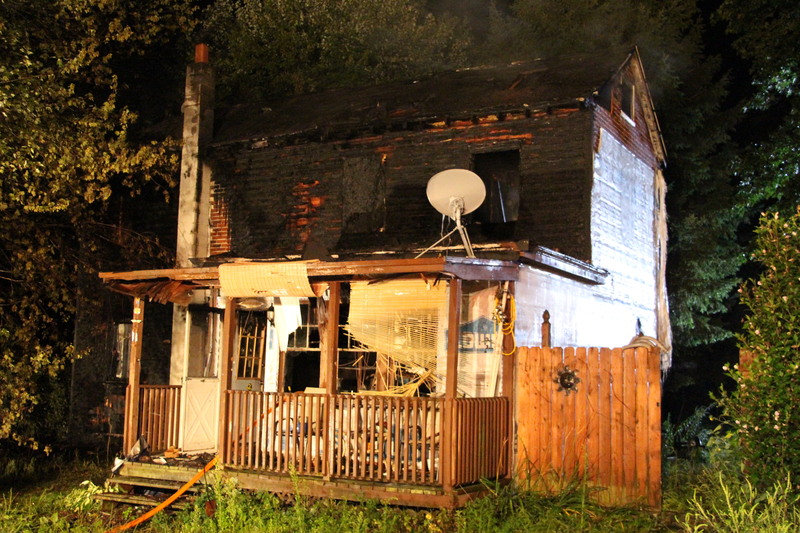 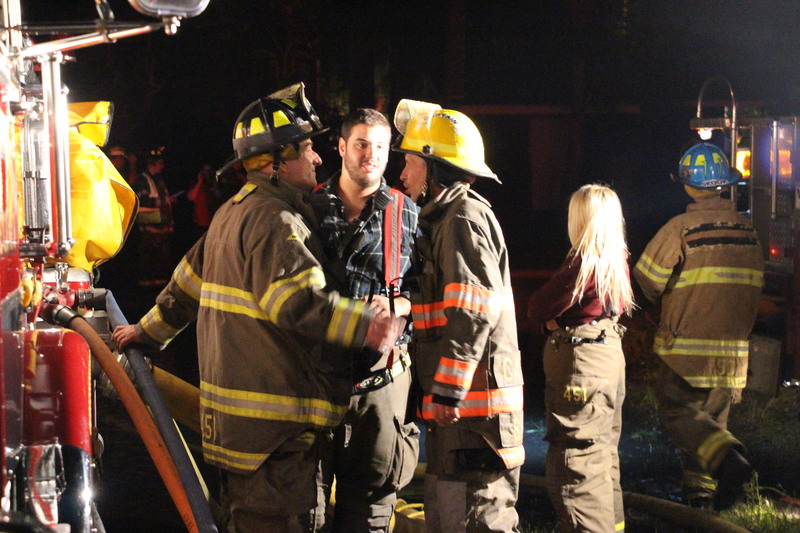 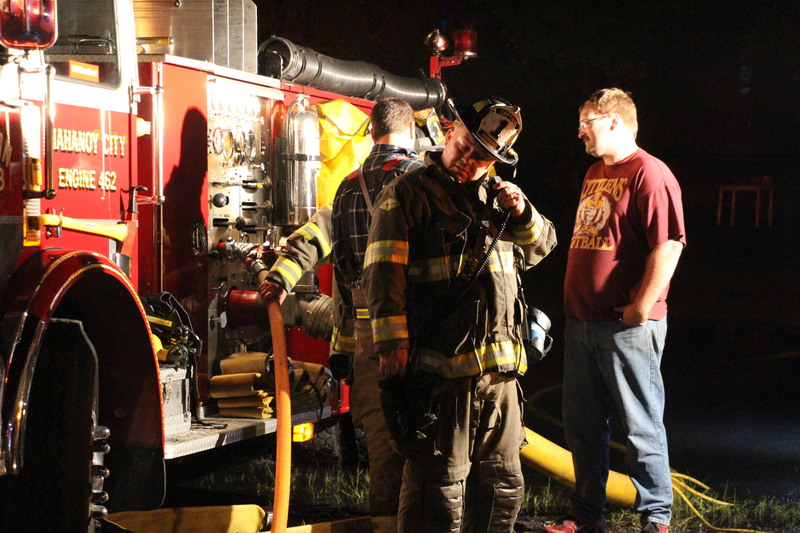 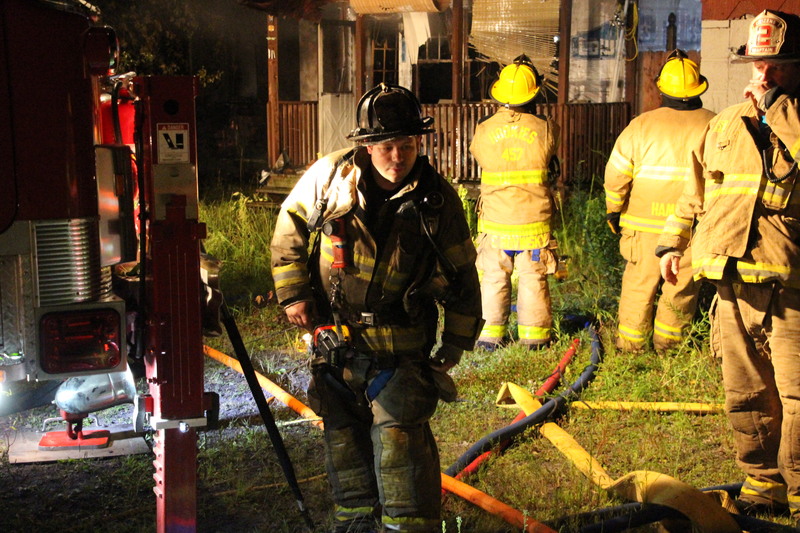 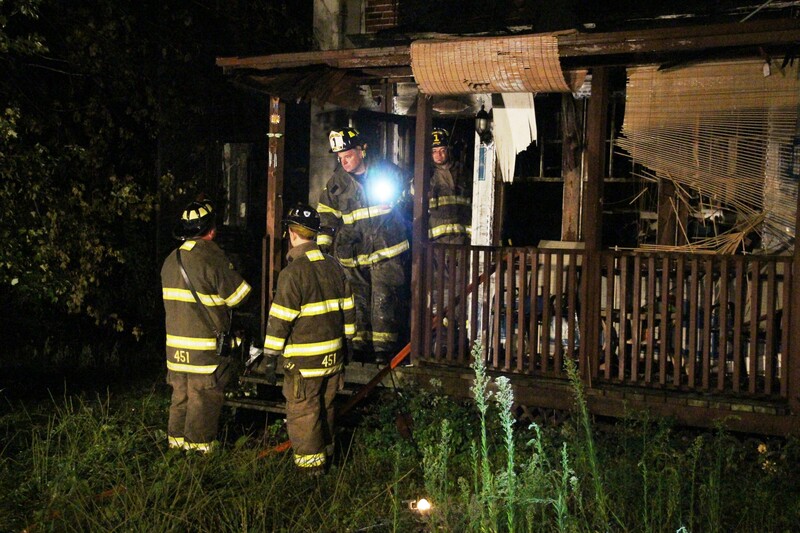 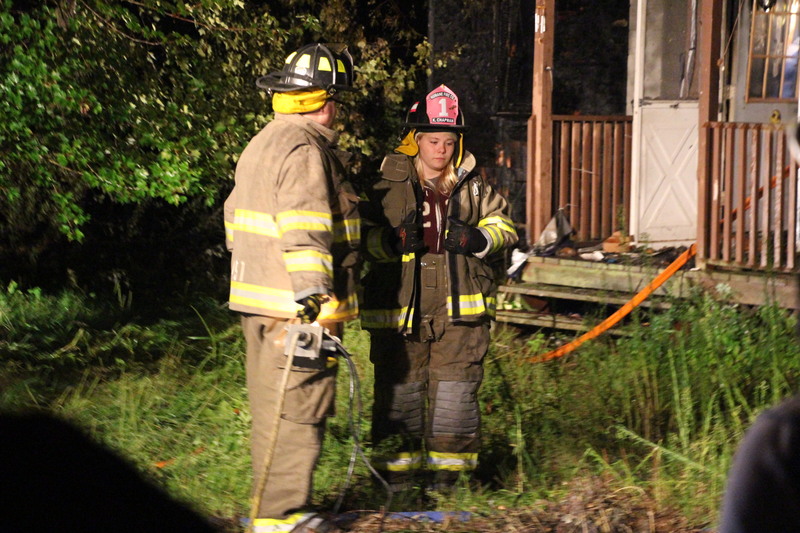 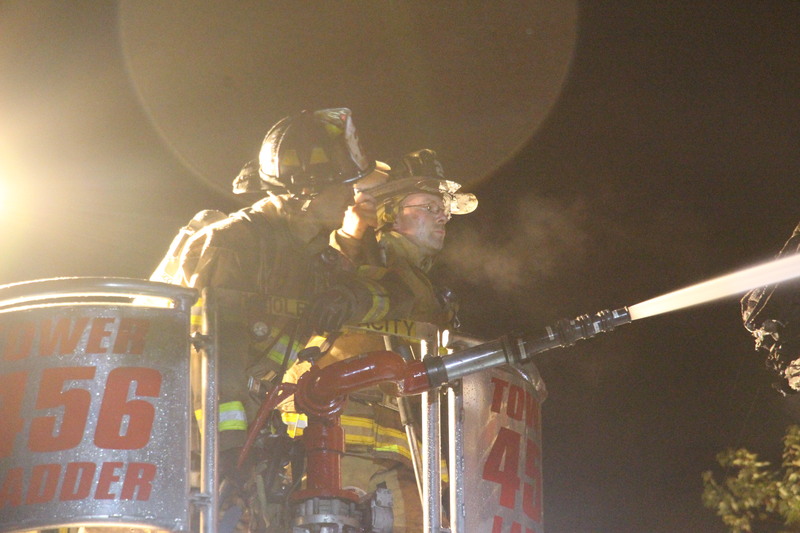 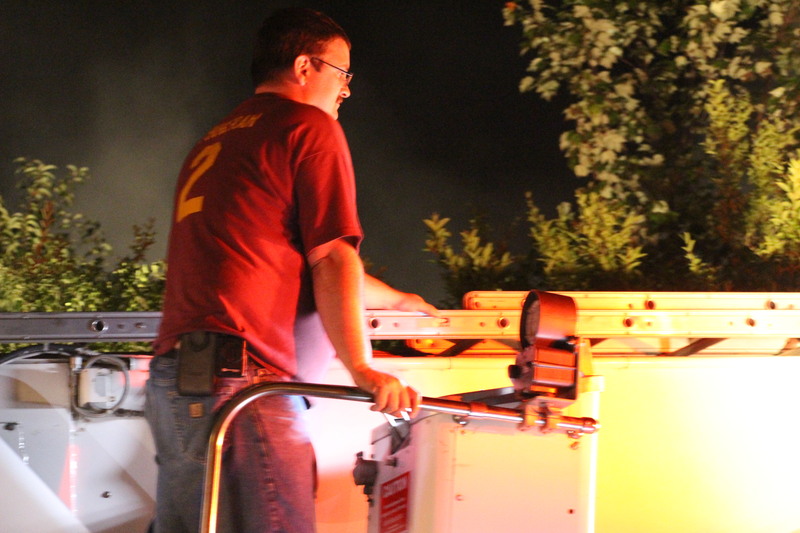 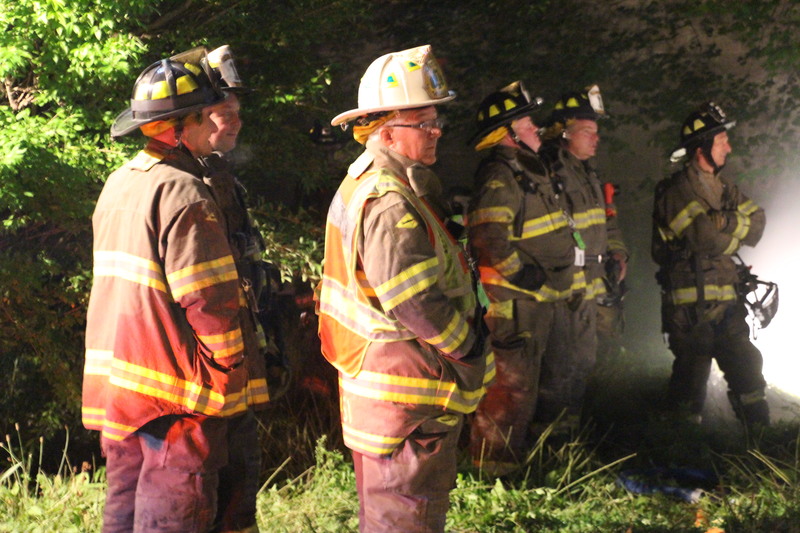 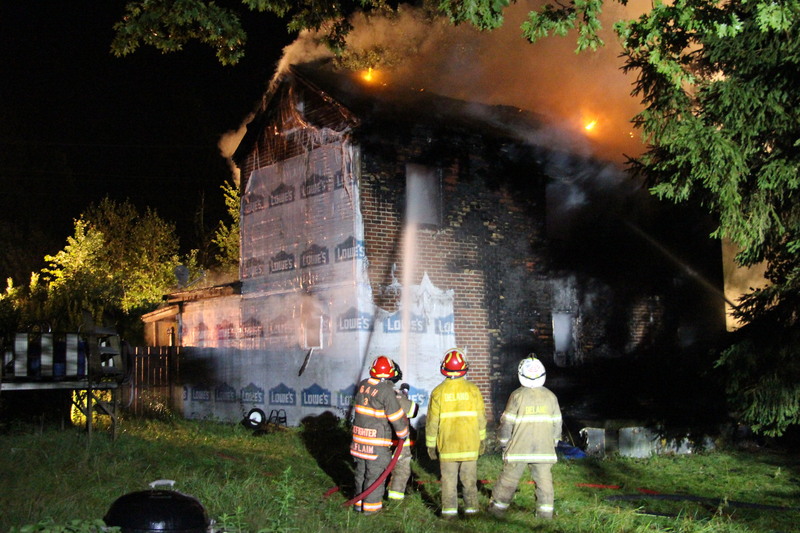 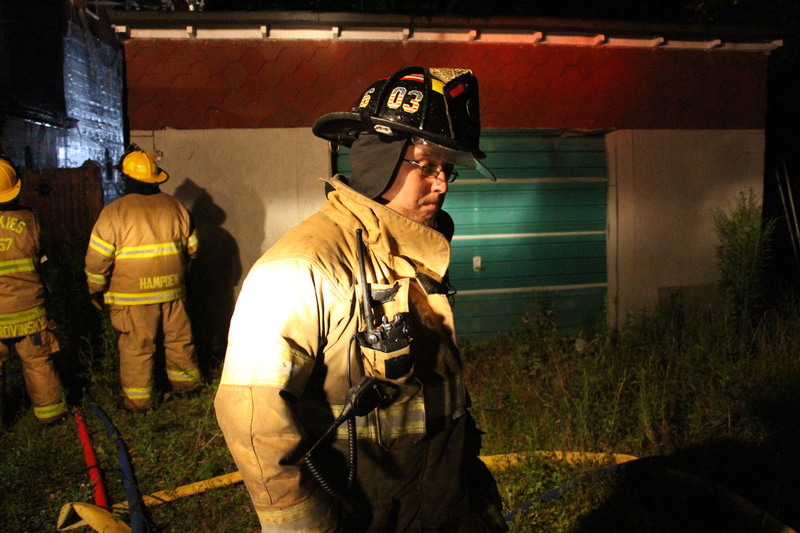 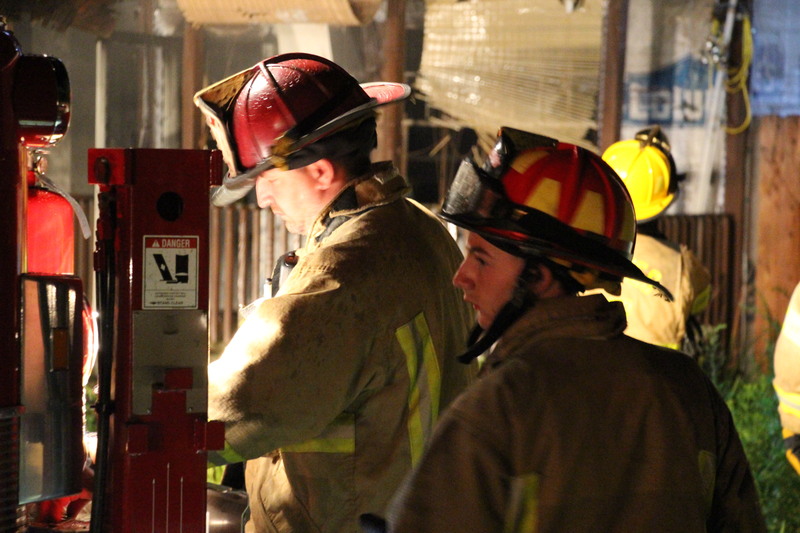 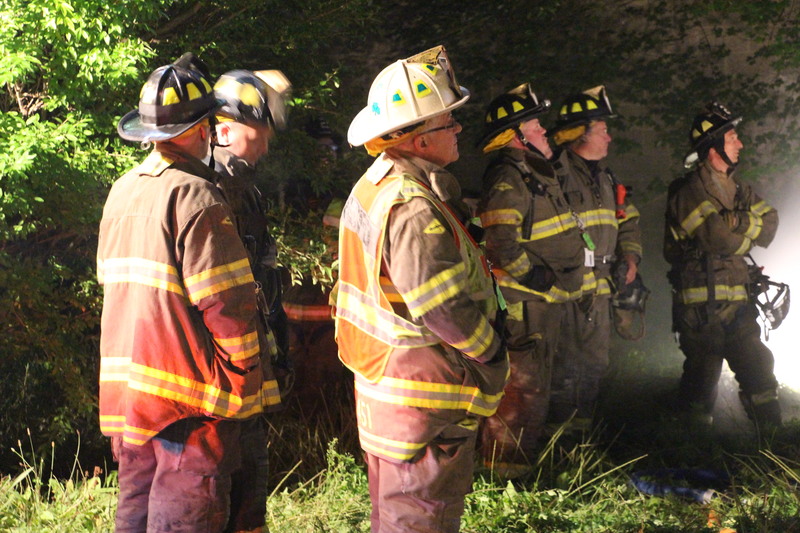 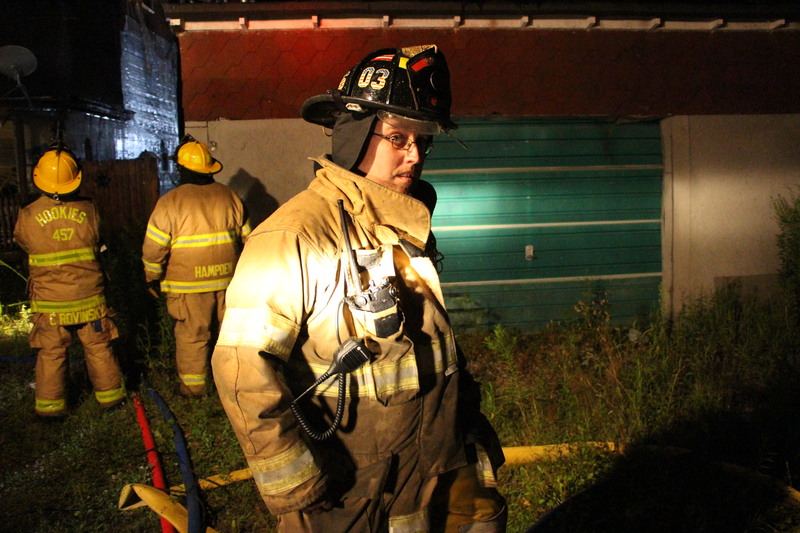 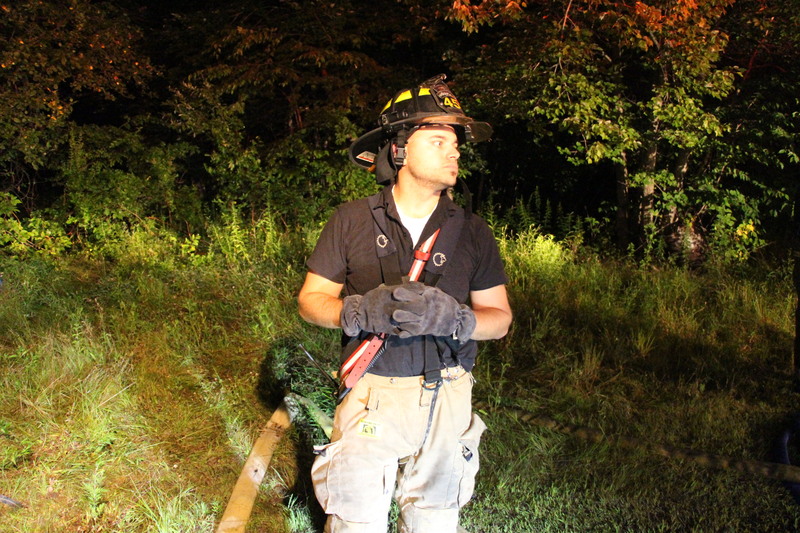 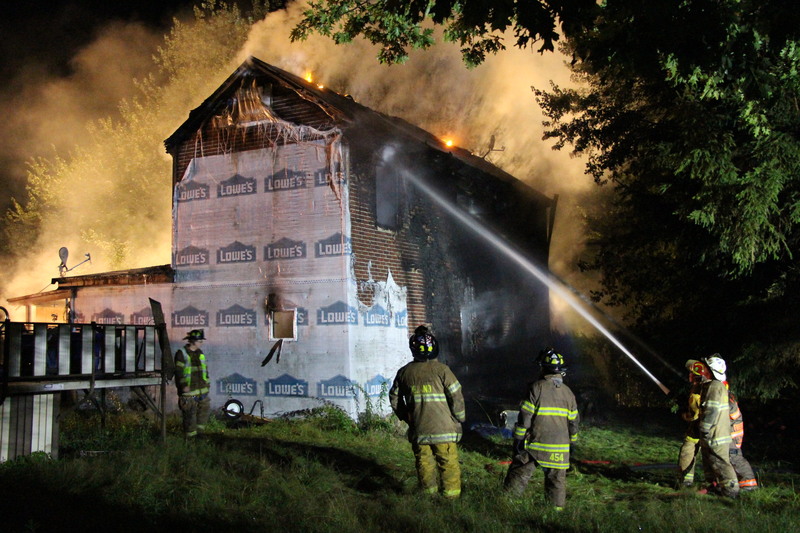 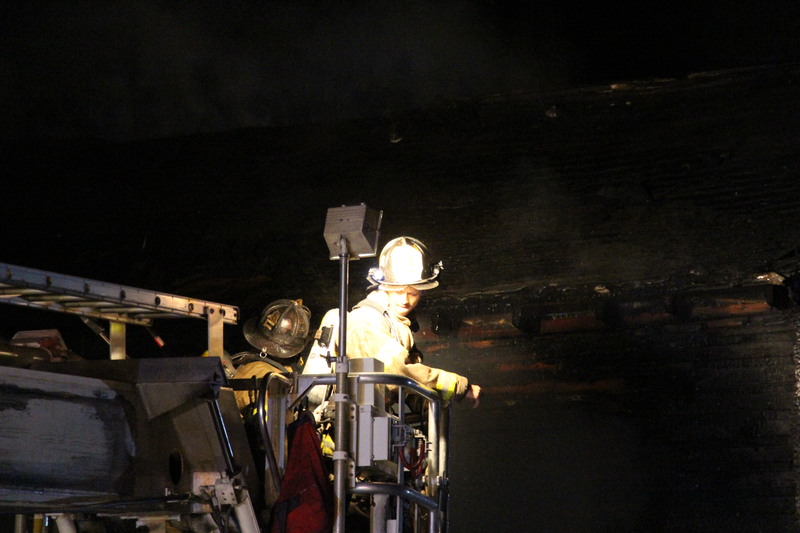 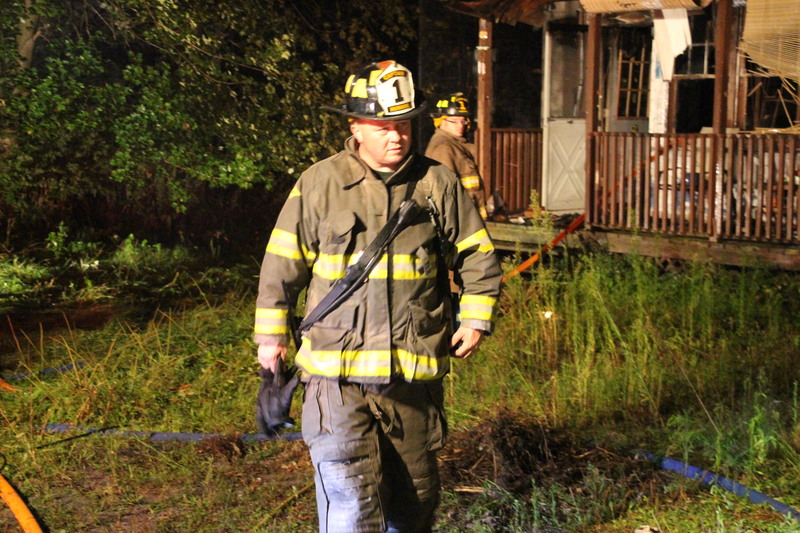 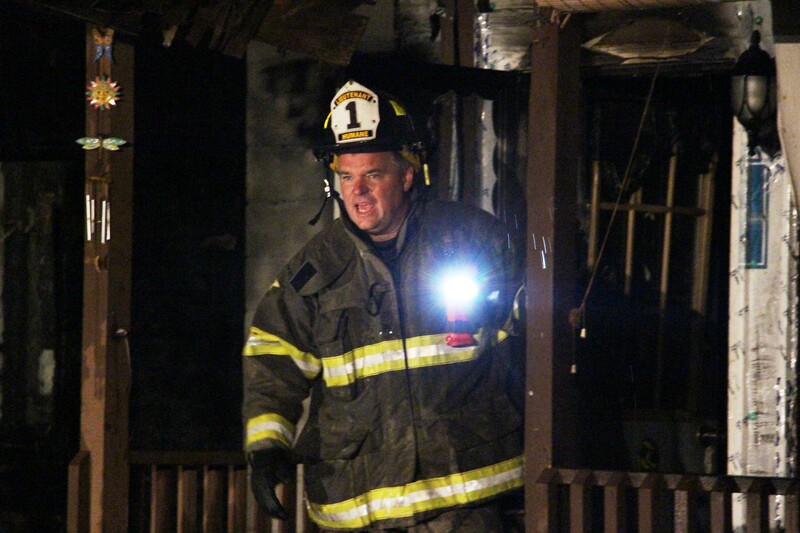 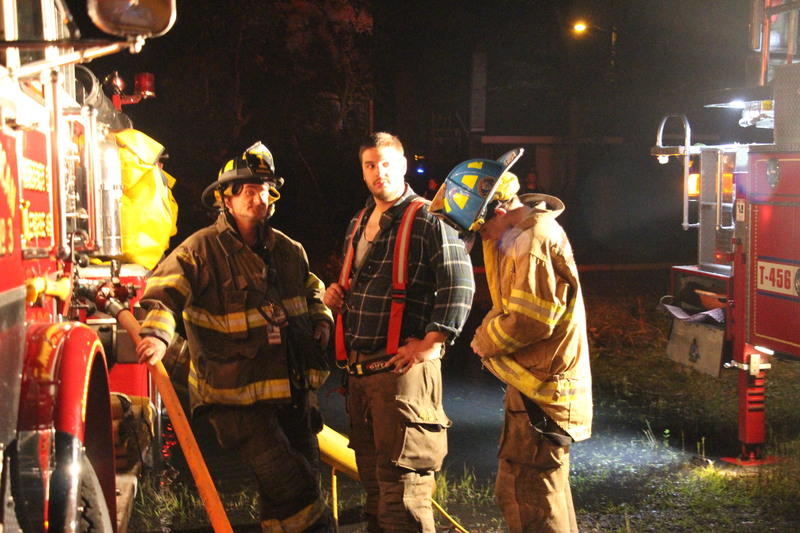 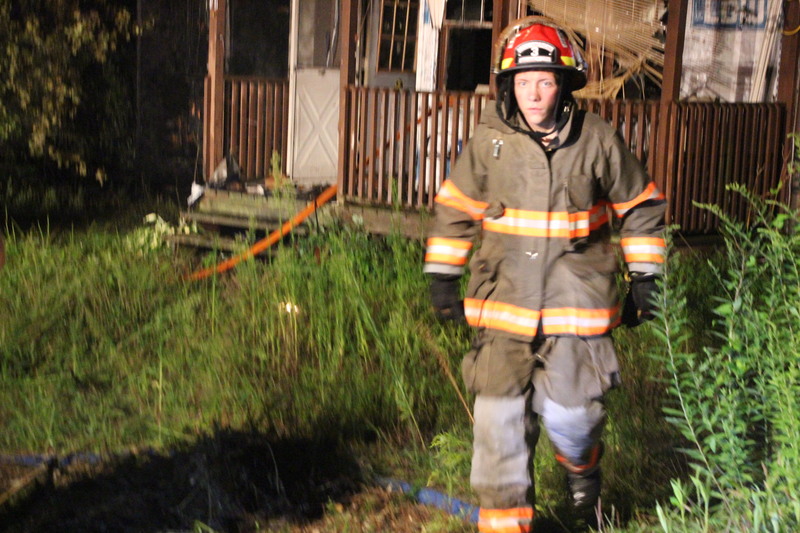 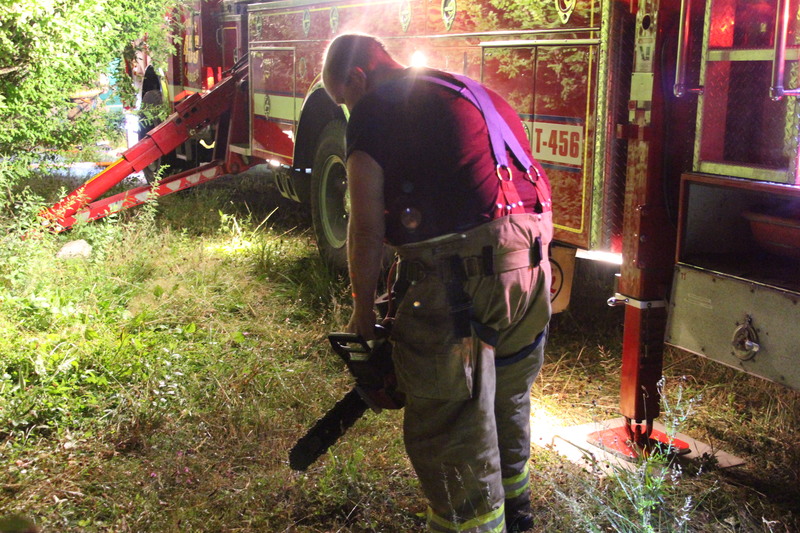 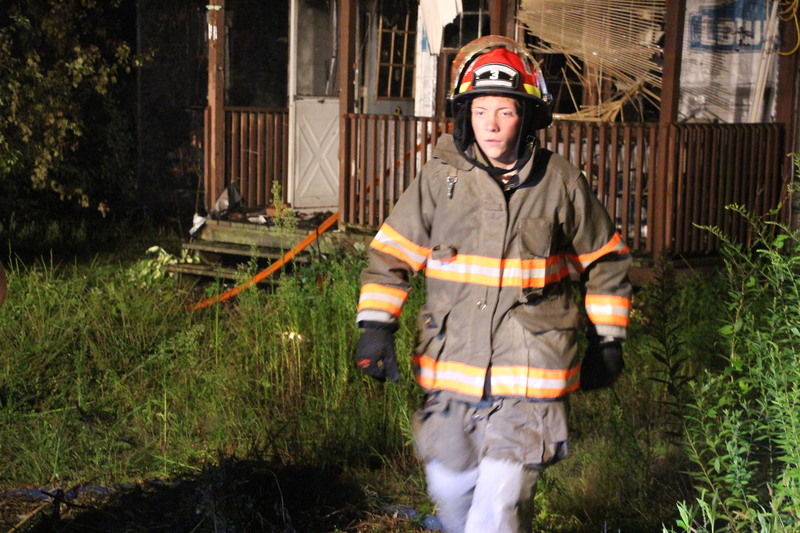 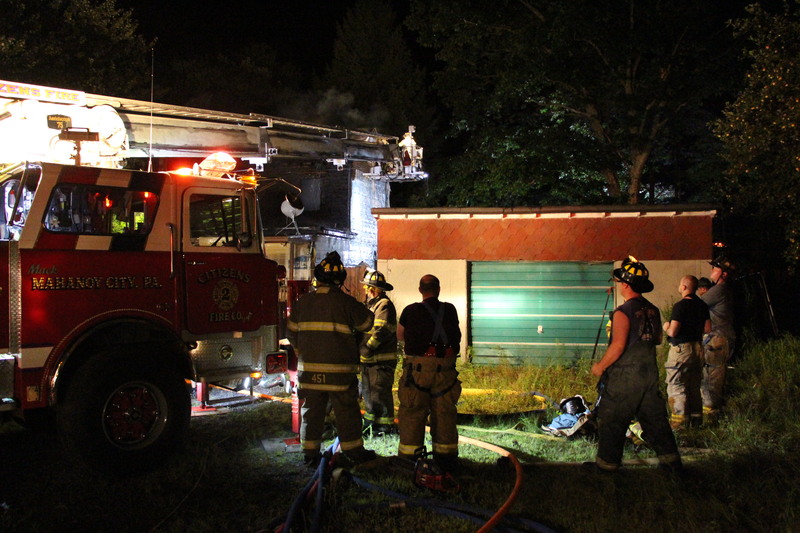 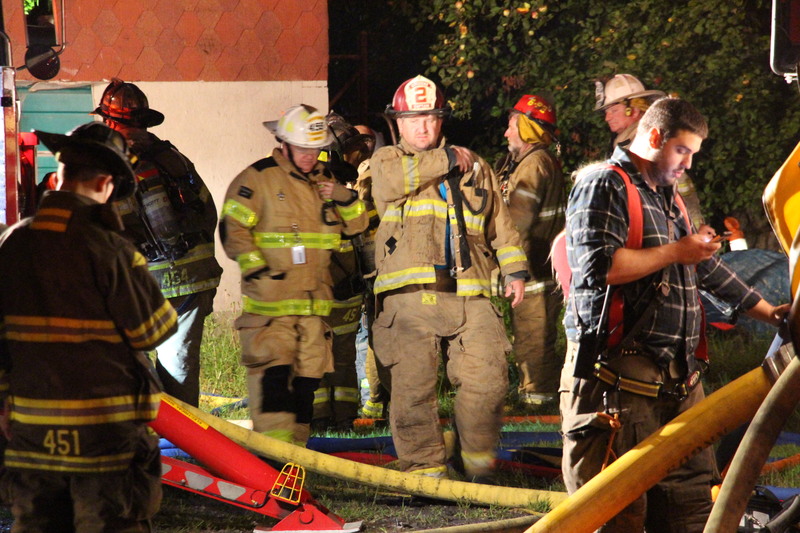 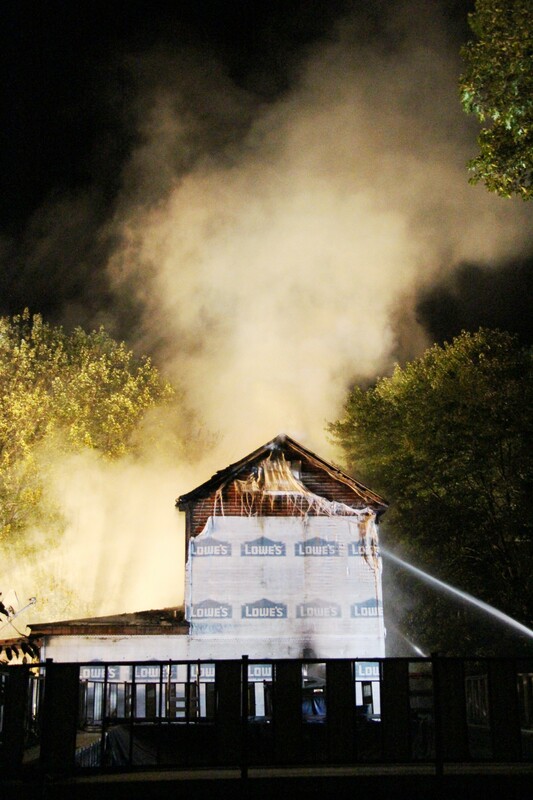 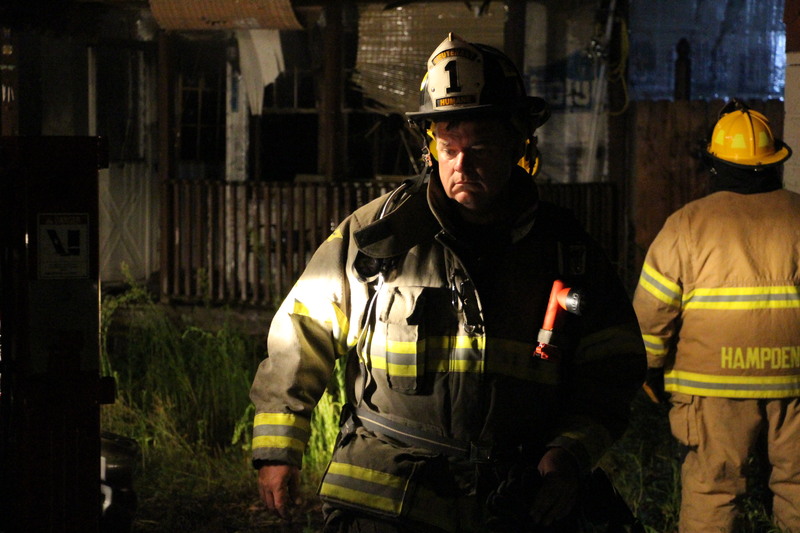 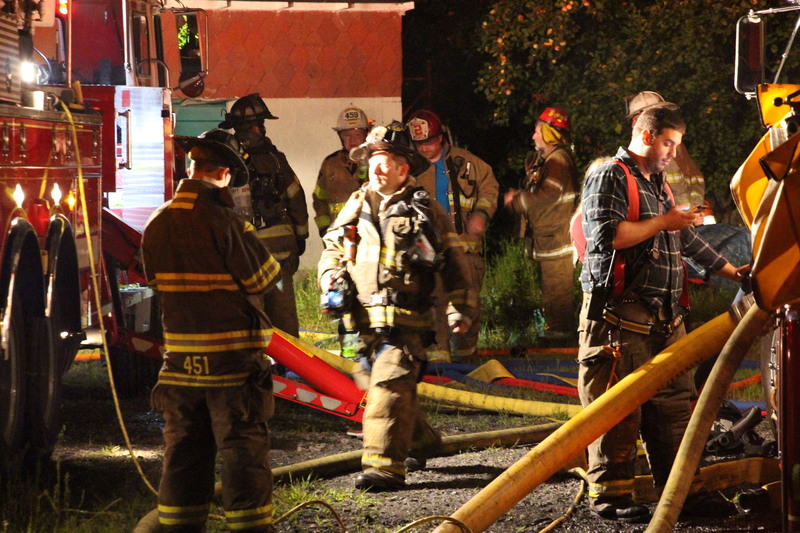 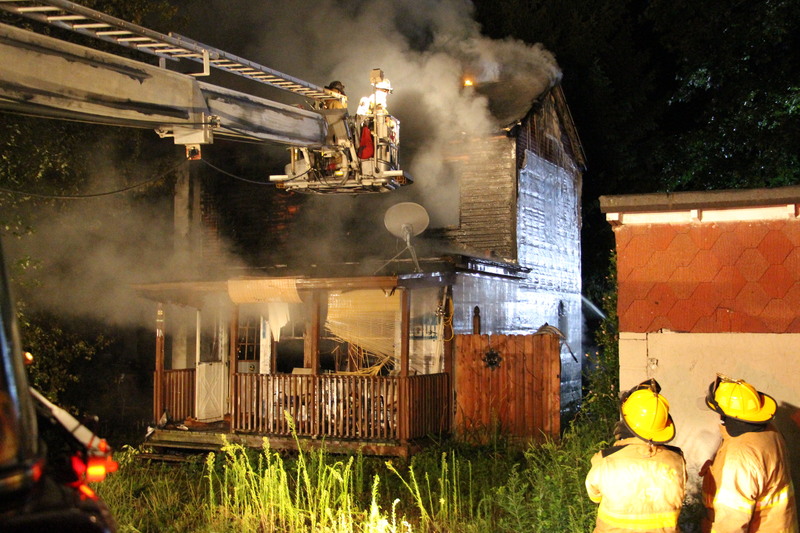 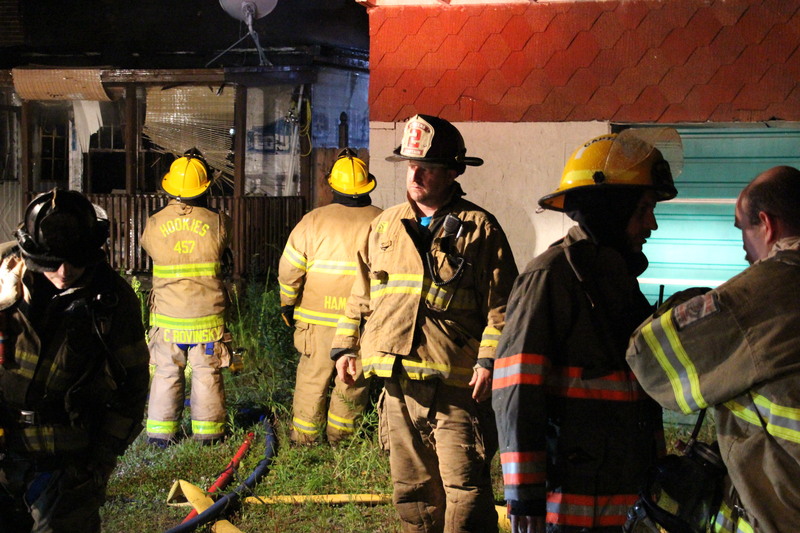 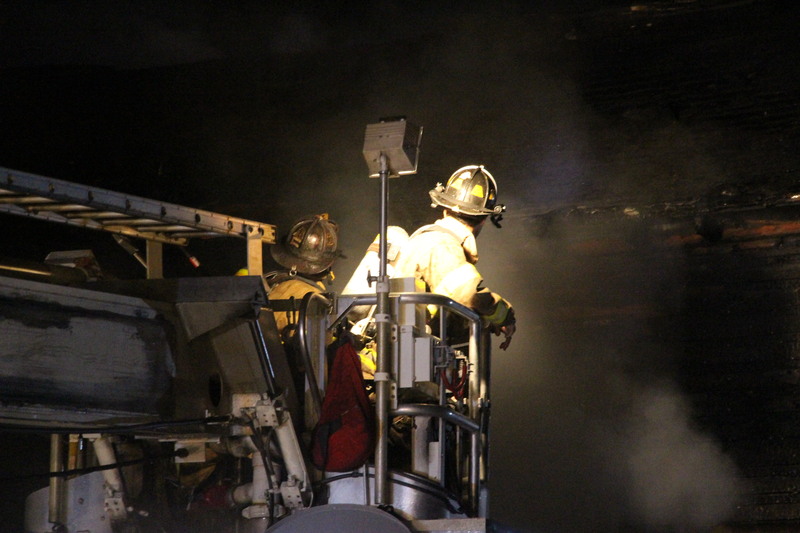 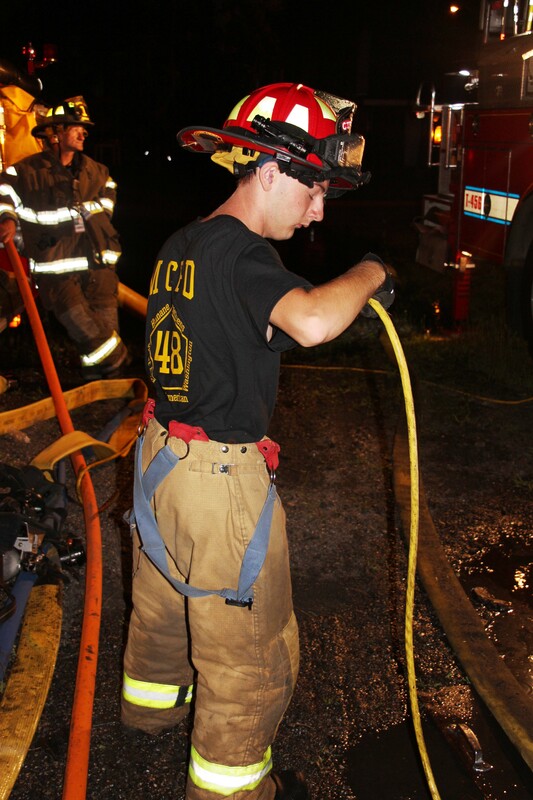 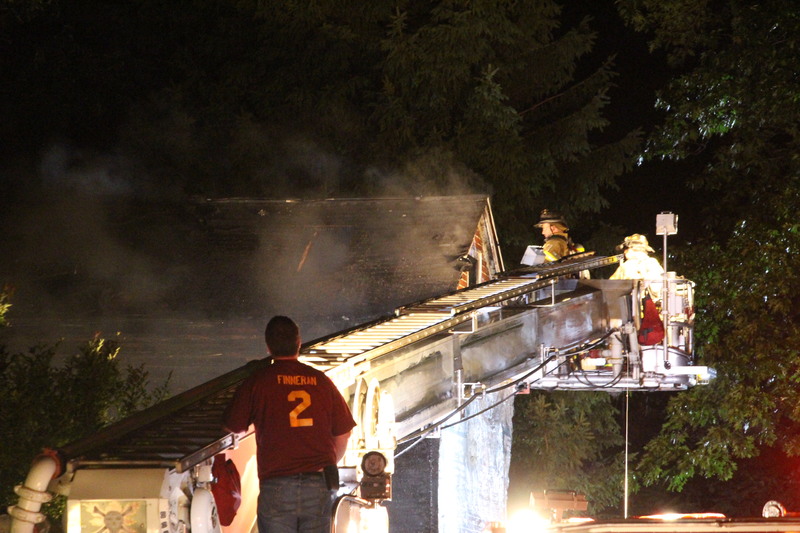 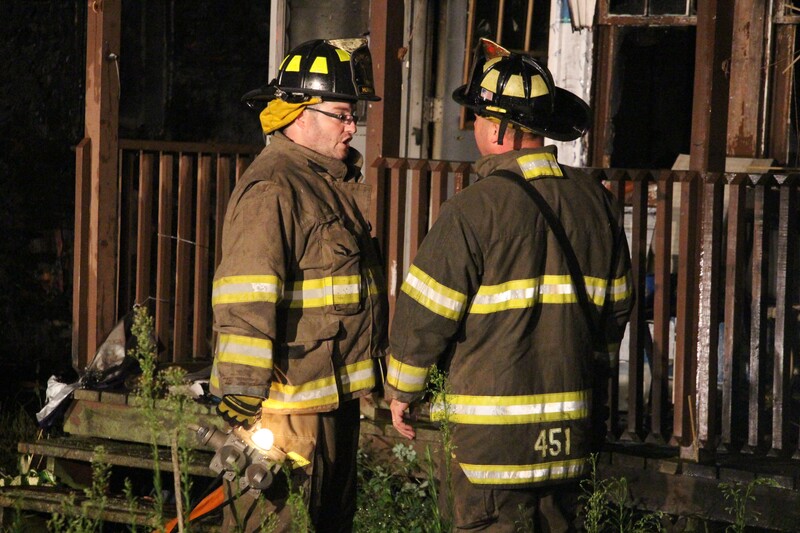 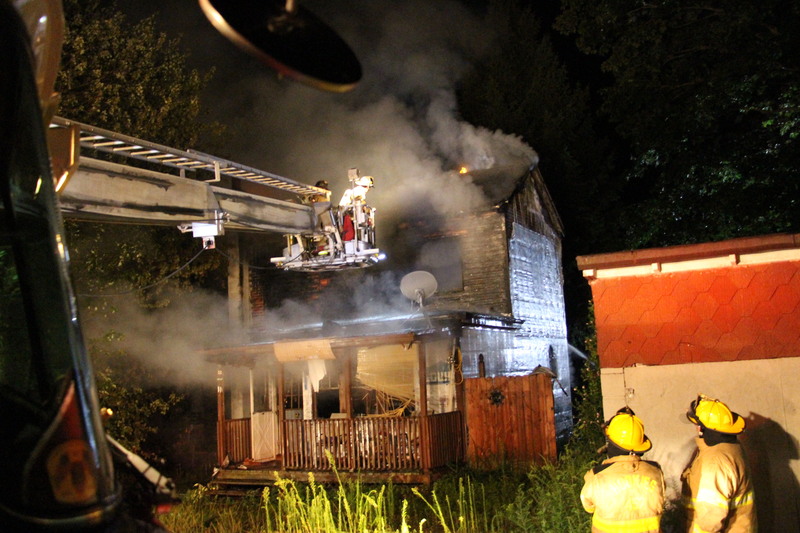 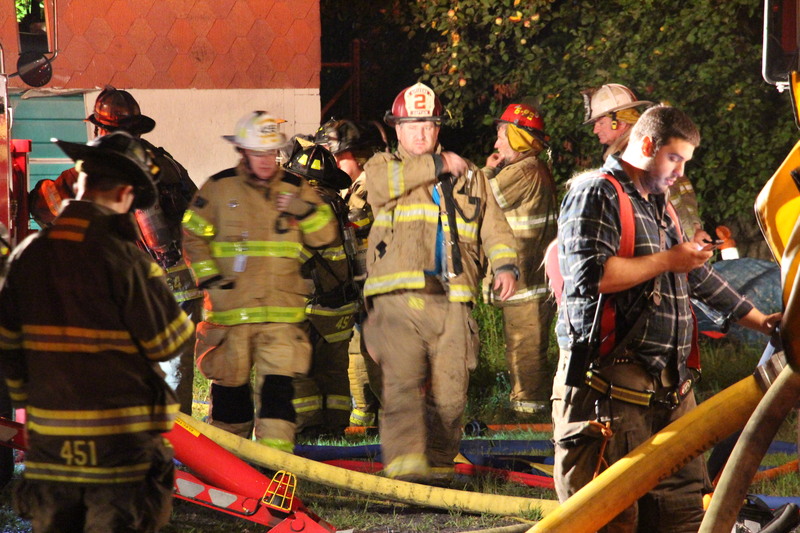 Emergency personnel were called to 89 Park Place Road in Mahanoy Township around 1 AM today (Saturday, August 8, 2015) for a report of a structure fire. 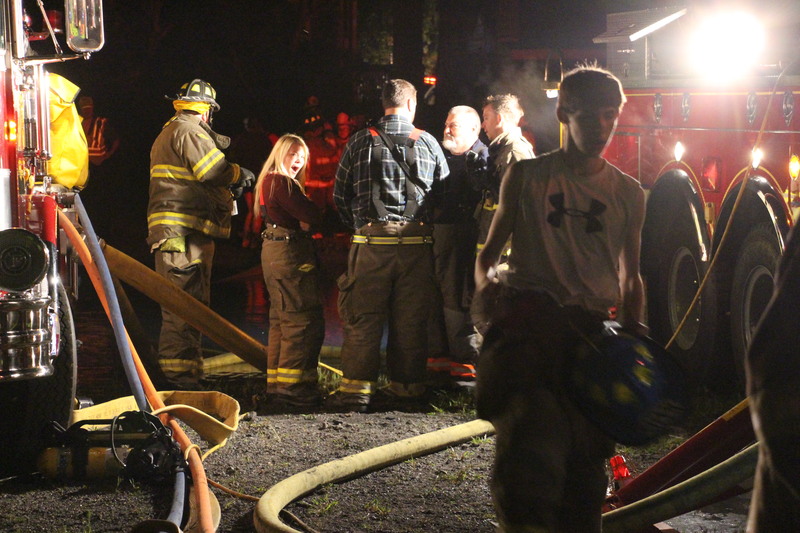 Firefighters and Mahanoy Township Police arrived to see the home heavily engulfed in flames. 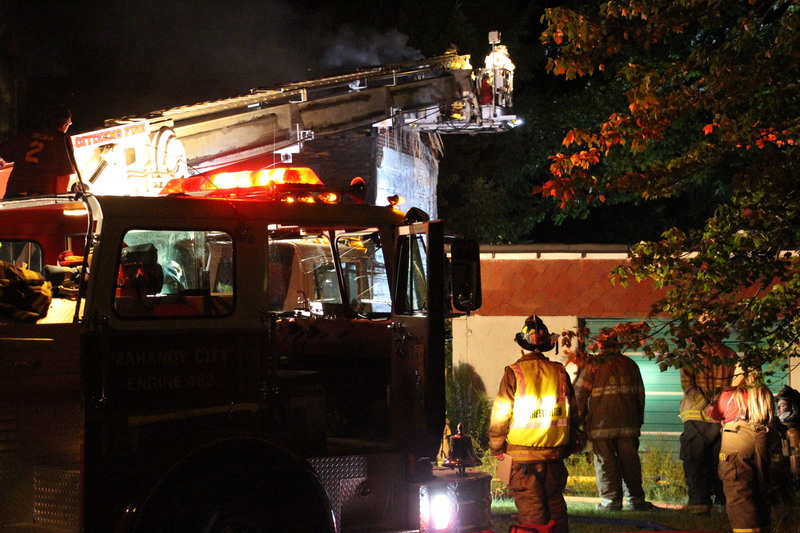 Anthony “Tony” Blackwell Sr., safety officer and administrative assistant, Mahanoy City Fire Department, stated that neighbors noted the property as being vacant and there was no power to the home for about a year. 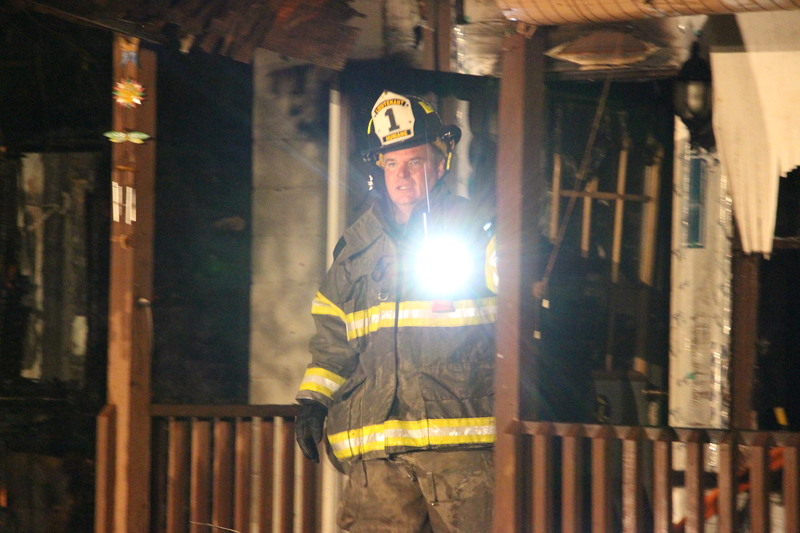 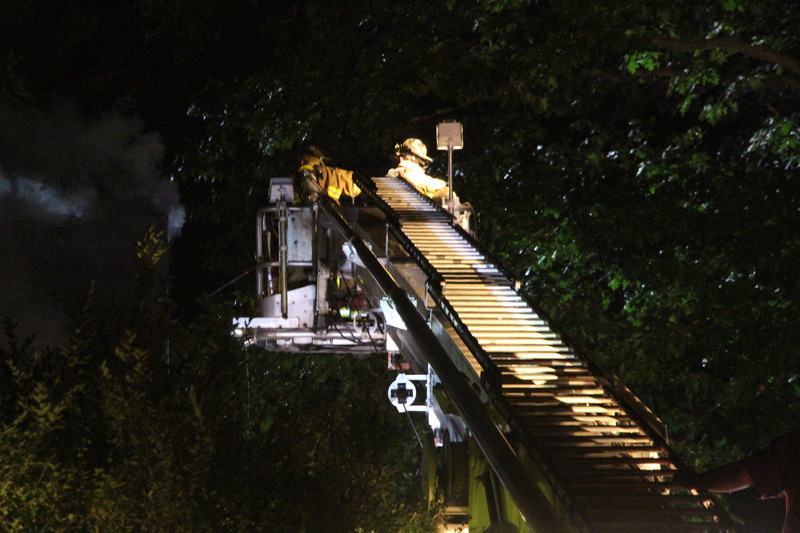 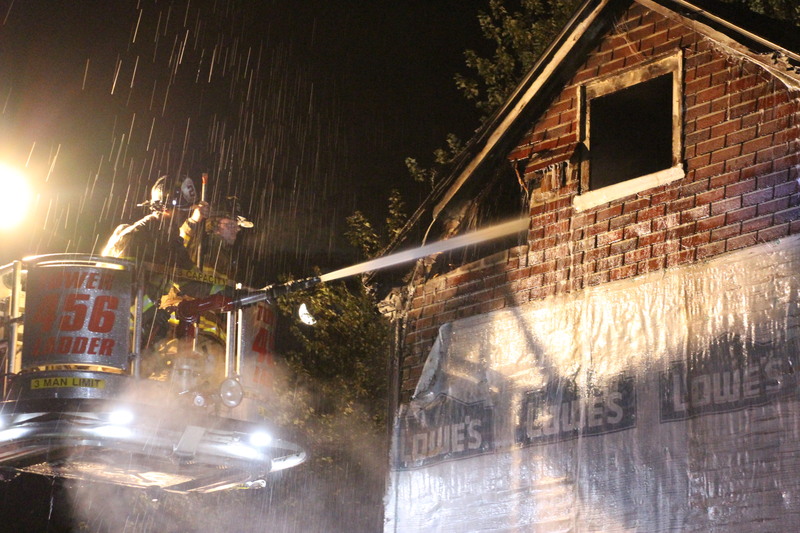 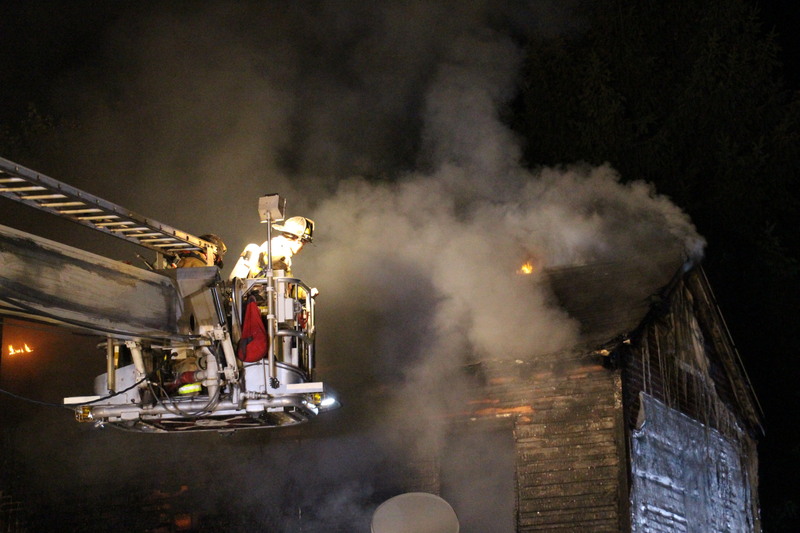 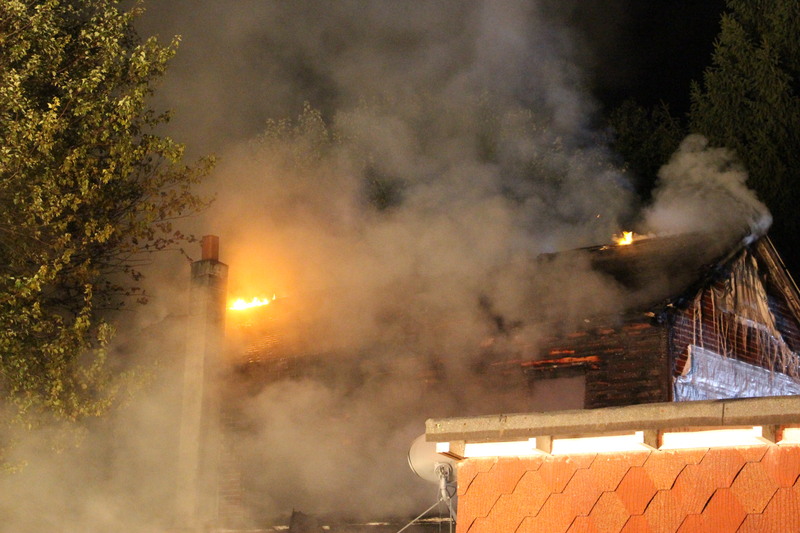 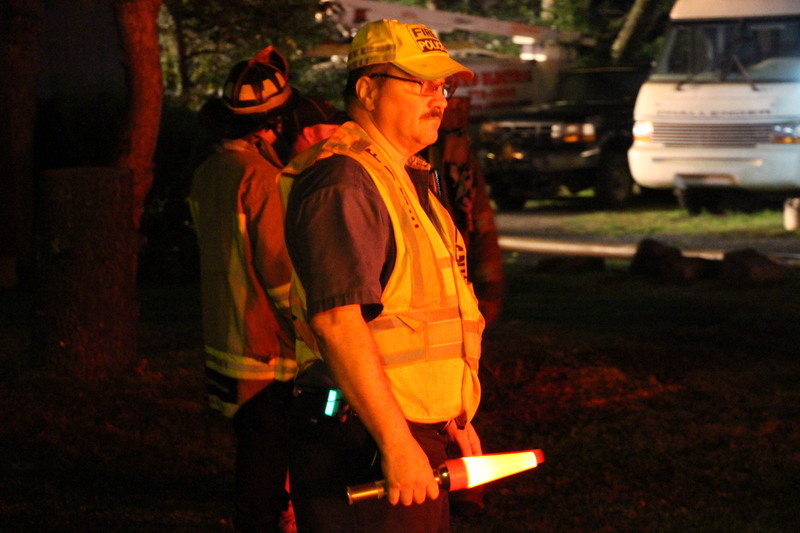 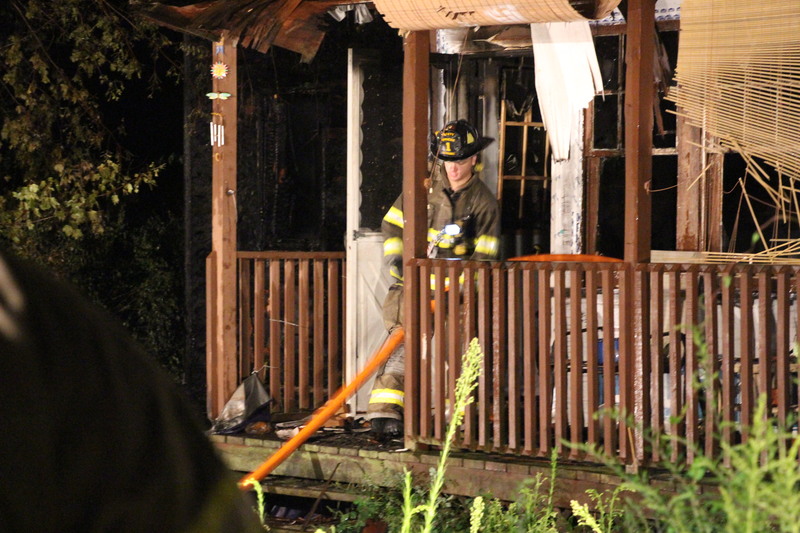 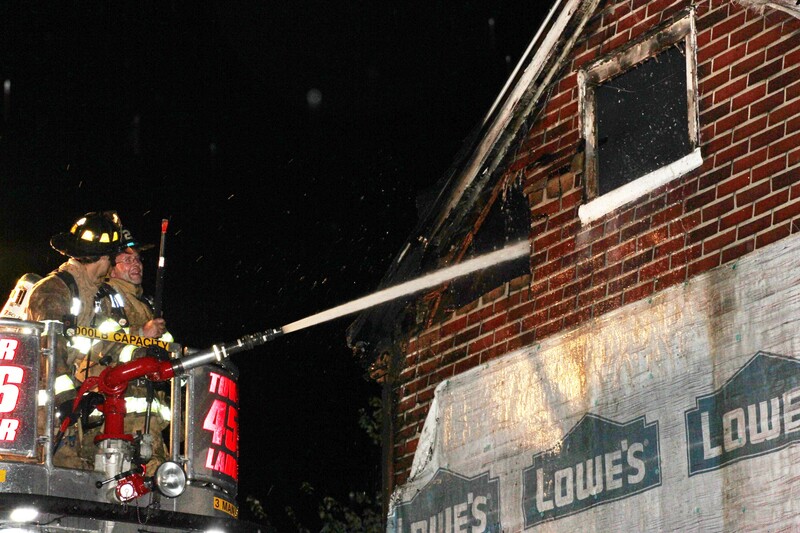 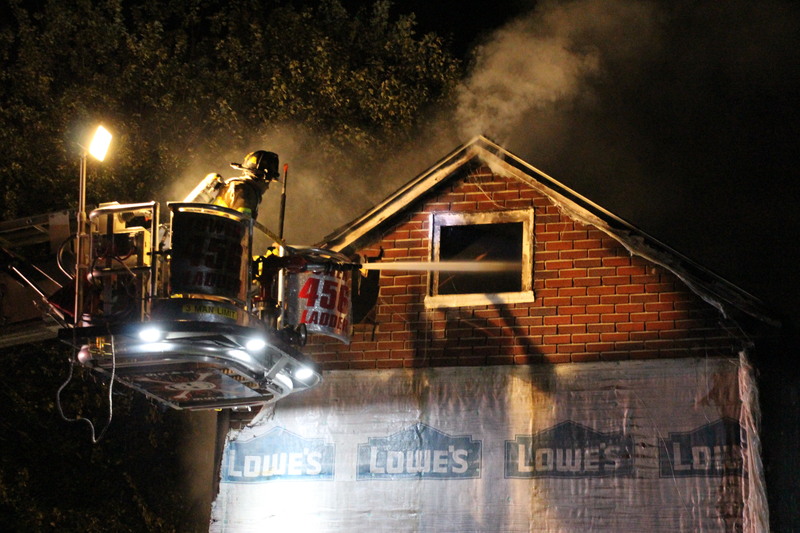 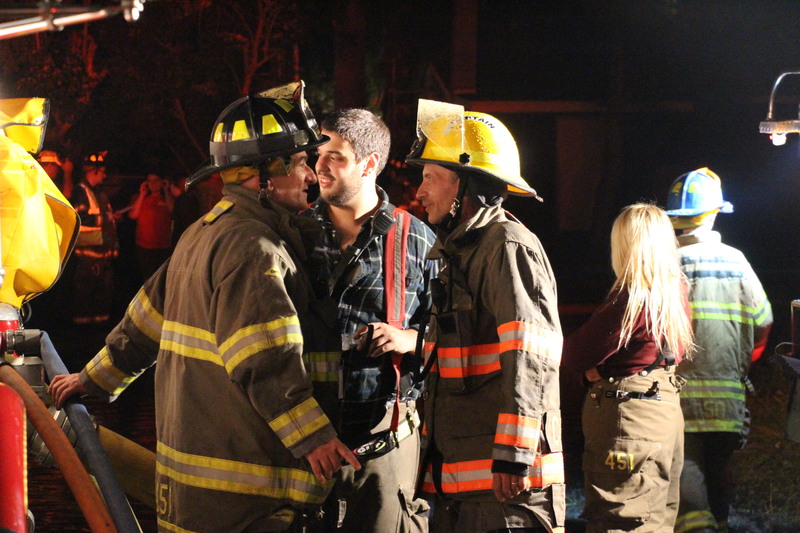 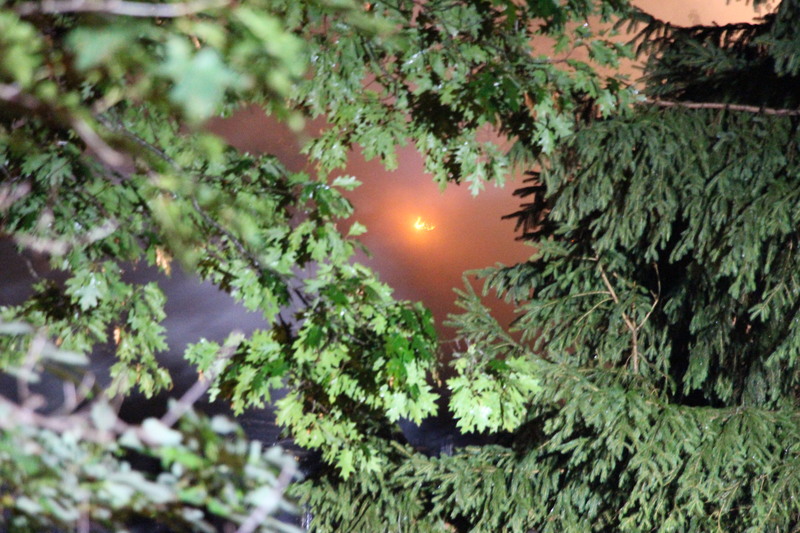 Blackwell added the extent of the blaze prevented firefighters from entering the home. 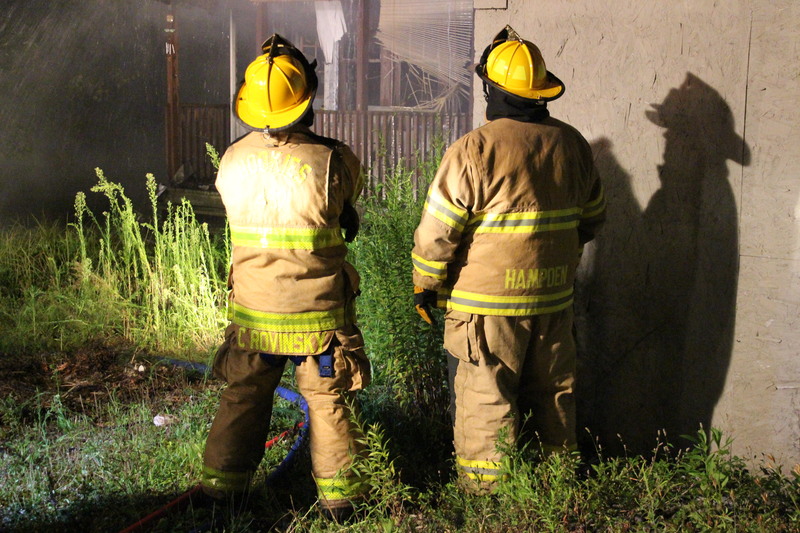 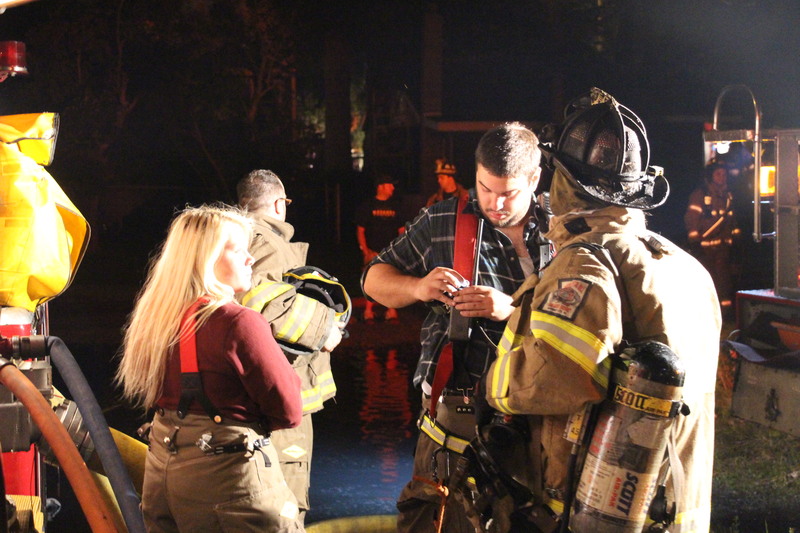 The fire was brought under control within 45 minutes and crews remained on the scene to ensure complete extinguishment until approximately 4 AM. 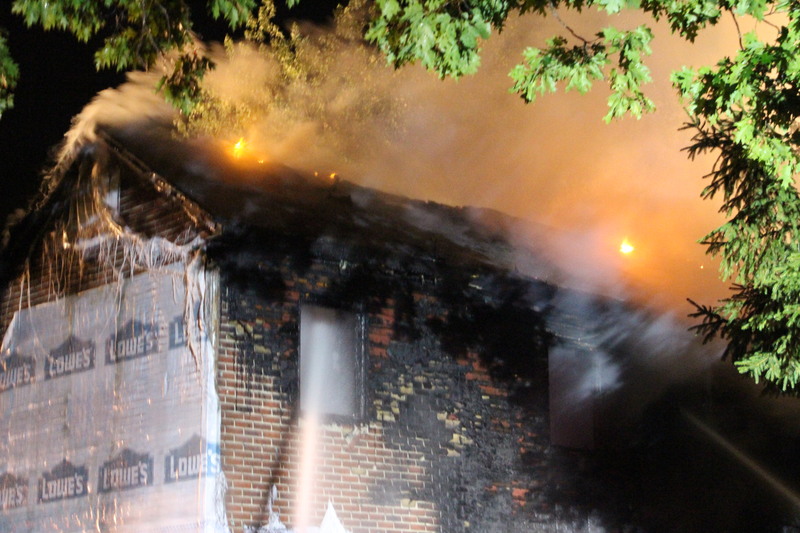 The home is owned by Dina Quinn but Ms. Quinn was not living at the residence at the time of the fire. 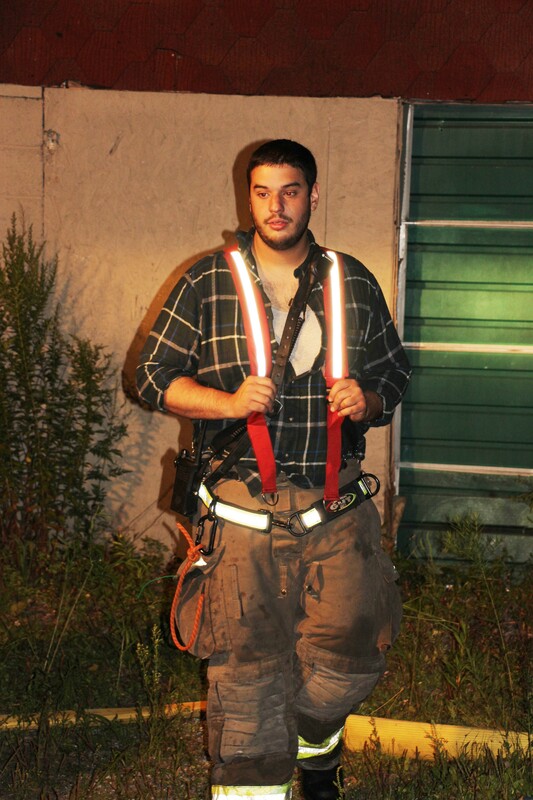 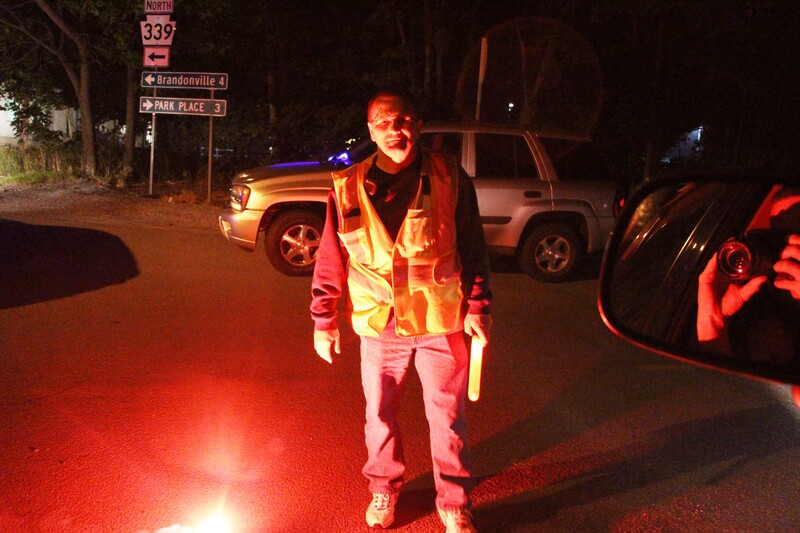 Fire crews Asst. 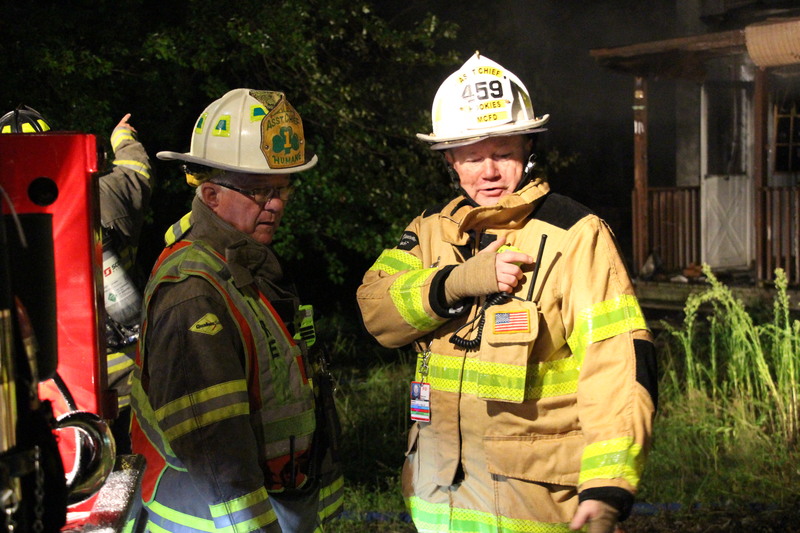 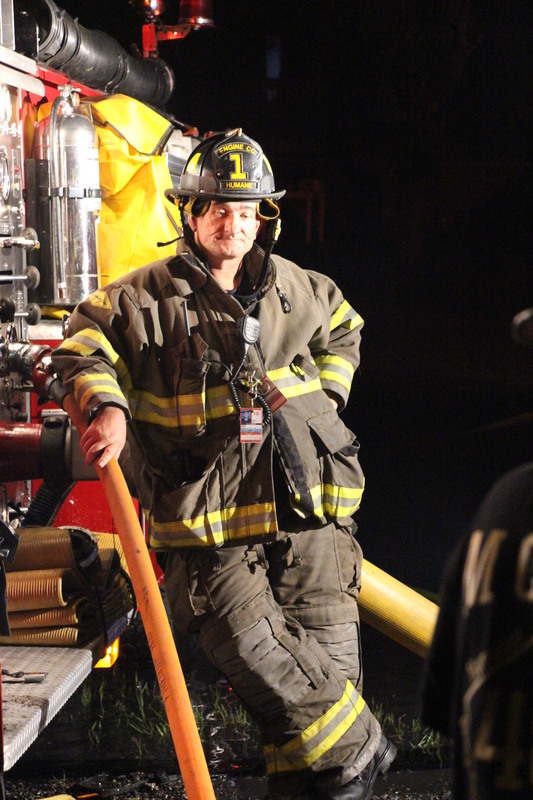 Fire Chief William Killian, Jr. commended fire crews for their quick and safe response to the fire. 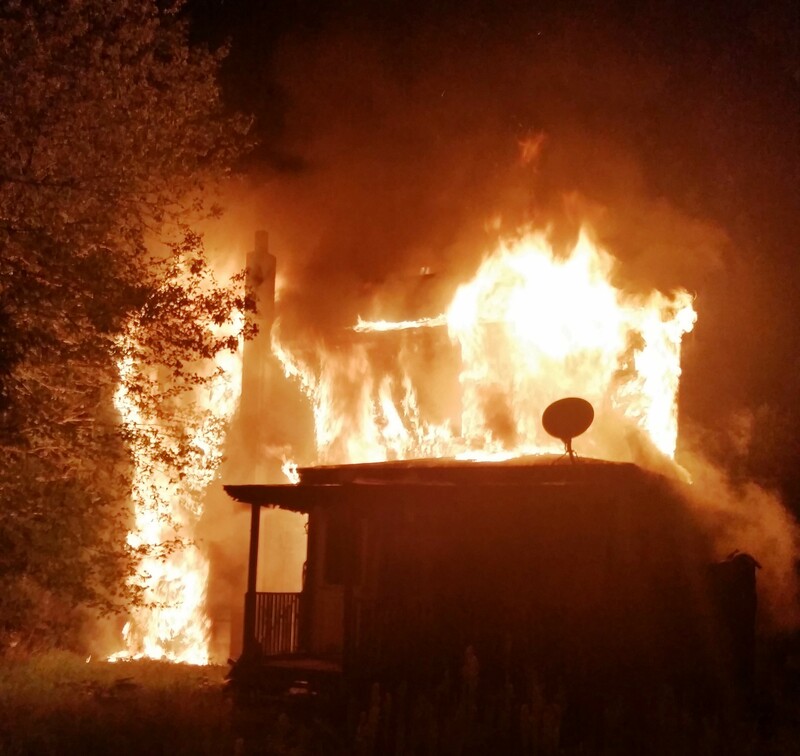 The home is considered a total loss and a PA State Fire Police Fire Marshal has been requested assist in determining the cause. 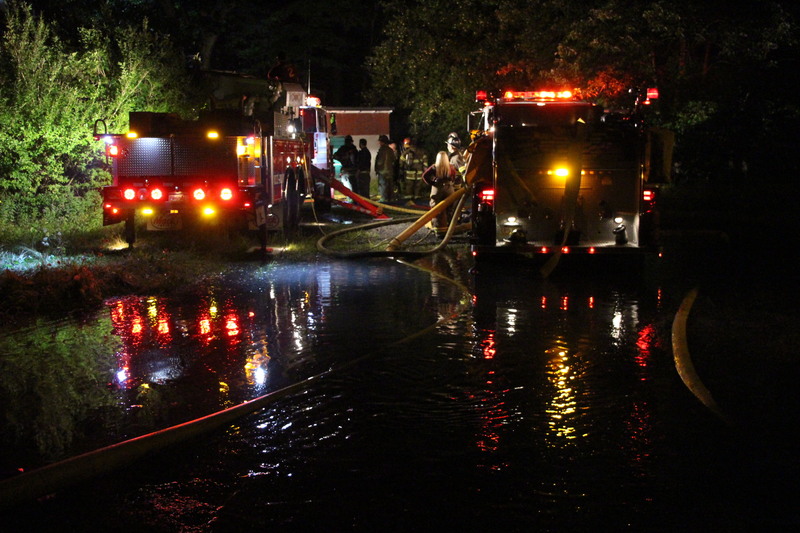 No additional homes were damaged and no injuries were reported. 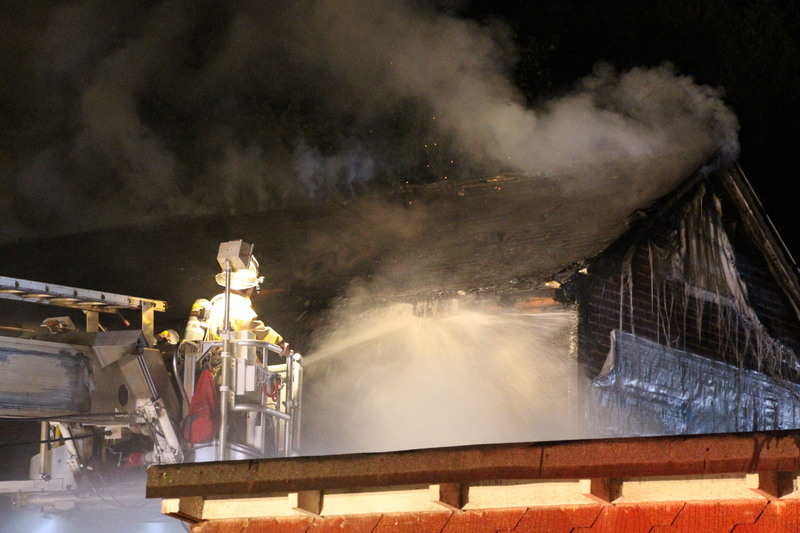 Neighbors told TamaquaArea.com that people had been at the house earlier in the day. 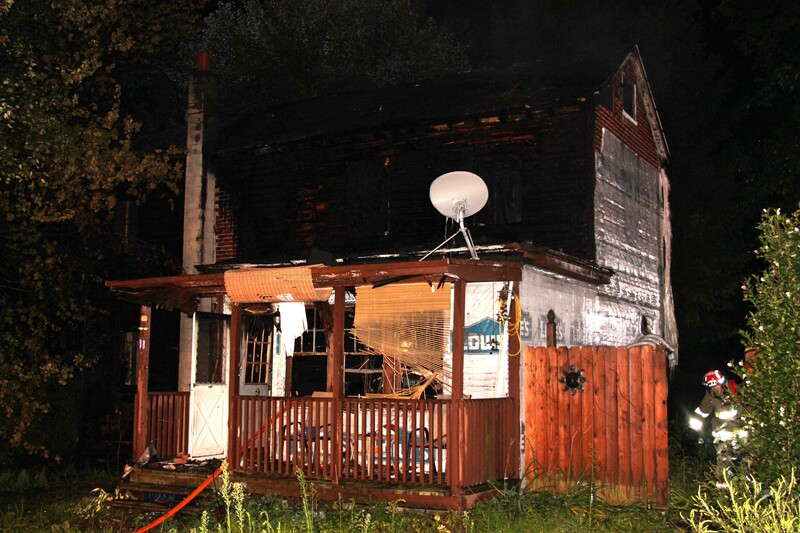 According to Schuylkill Parcel Locator Online, the property is owned by Dina Quinn. 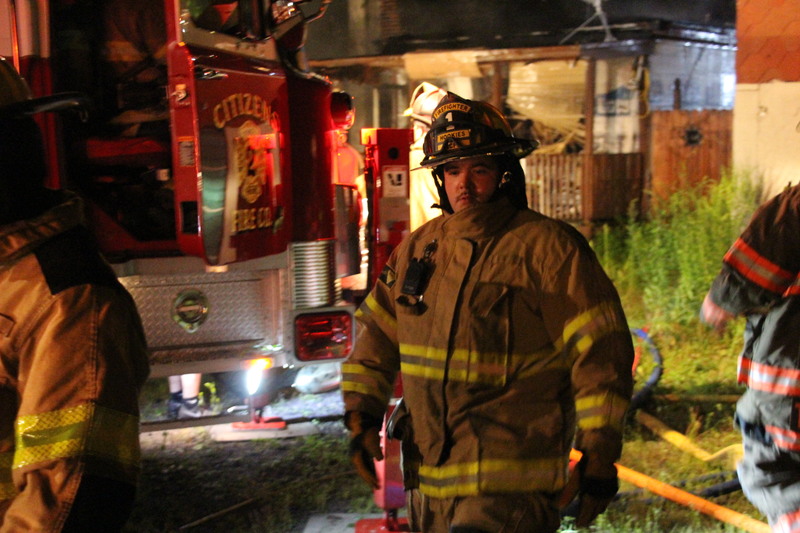 Responding were Citizen’s Fire Company No. 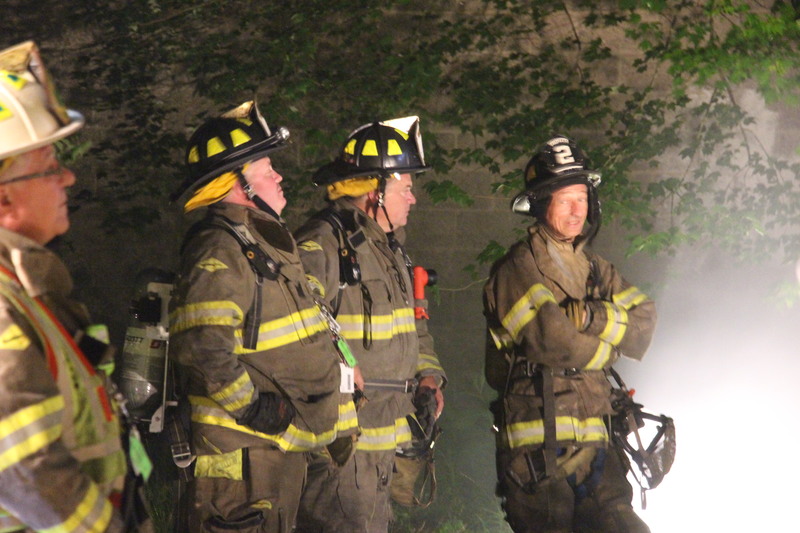 2 of Mahanoy City, Humane Fire Company of Mahanoy City, Good American Hose Company of Mahanoy City, Washington Hook and Ladder Company of Mahanoy City, Polish American Fire Company No. 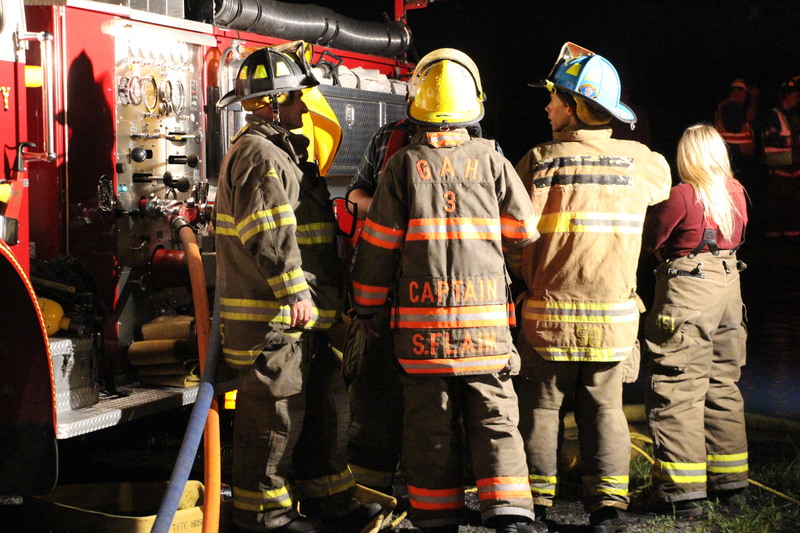 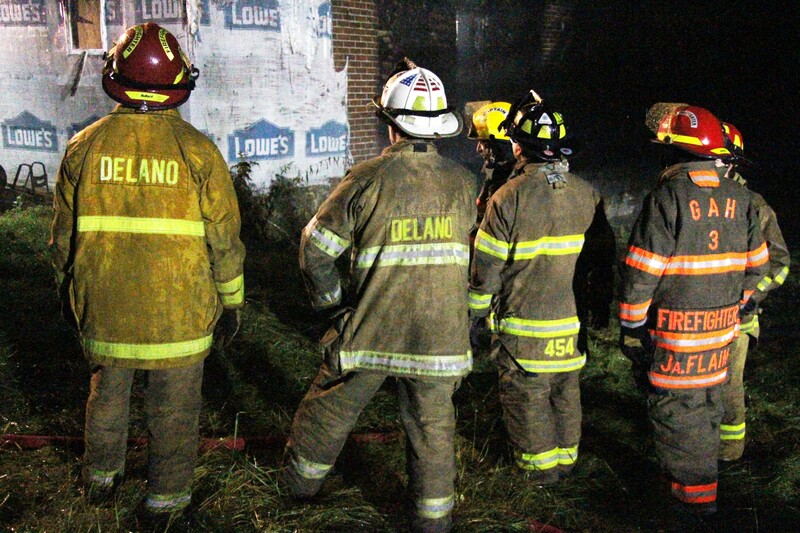 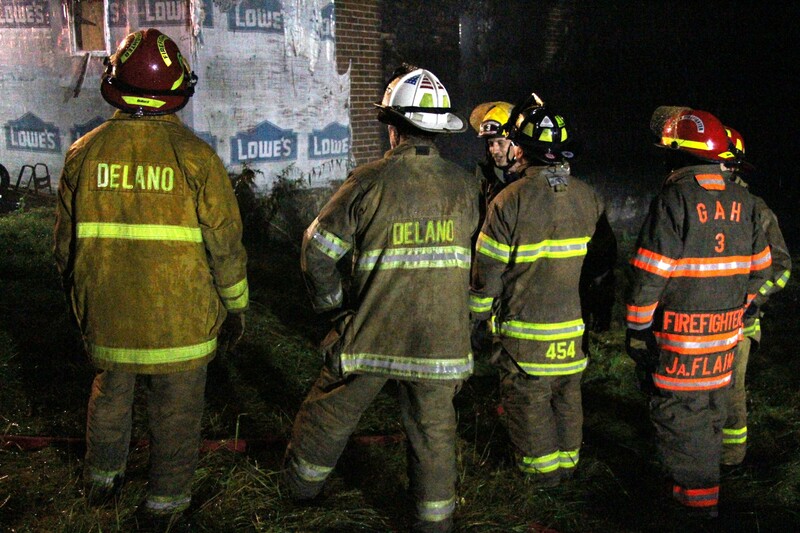 4 of Shenandoah, Sheppton-Oneida Volunteer Fire Company of East Union Township, Delano Fire Company No .1, Ringtown Valley Fire and Rescue Company, Ryan Township Ambulance, Mahanoy City EMS, Mahanoy City Fire Police, Hometown Fire Police and others. 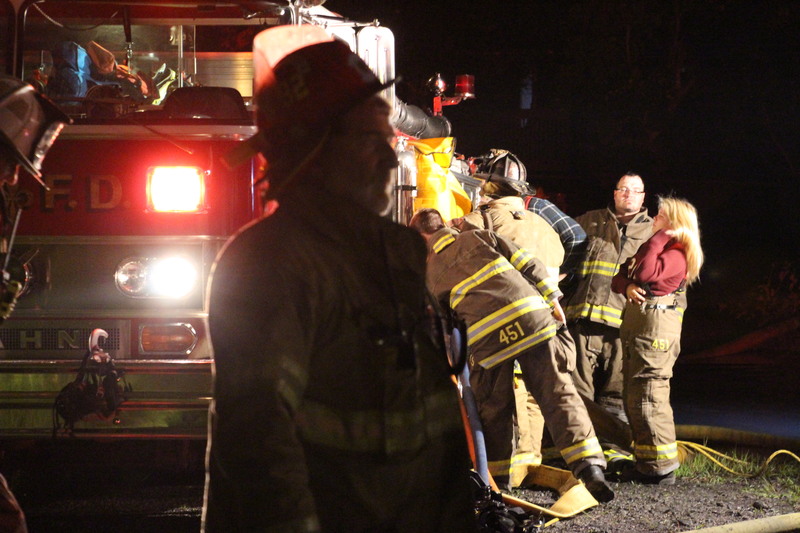 Blackwell said the incident is still under investigation.